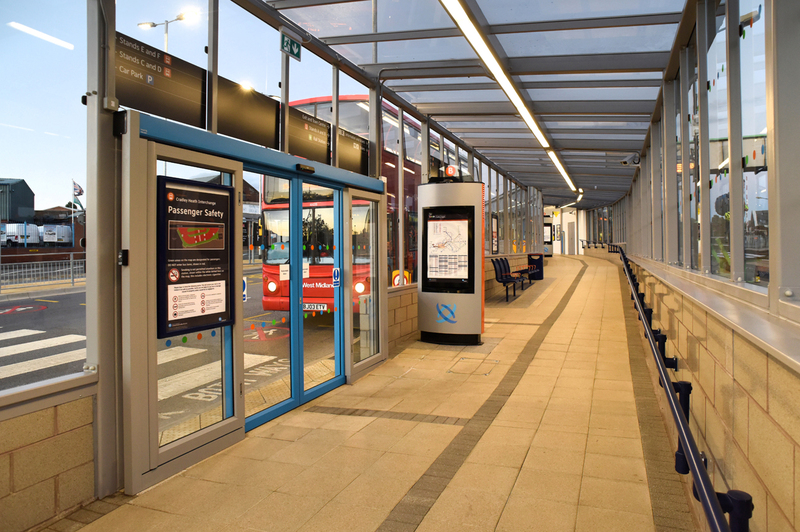 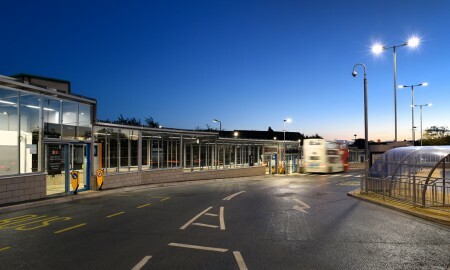 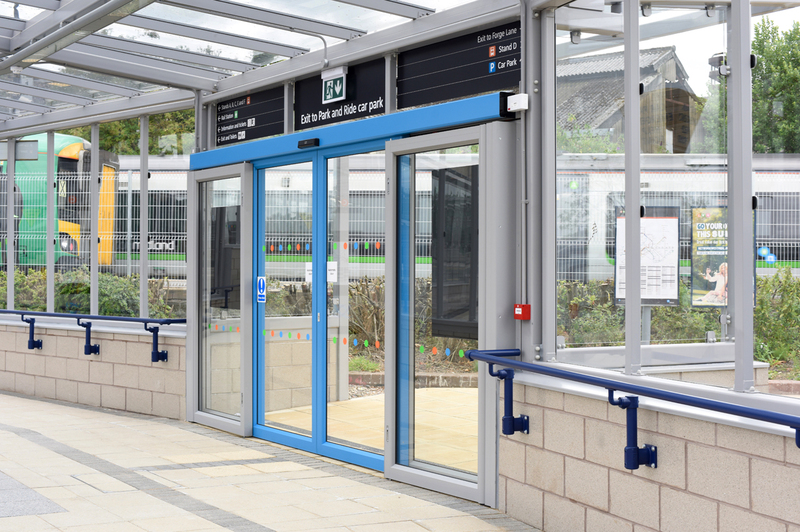 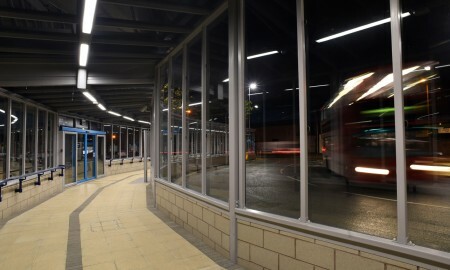 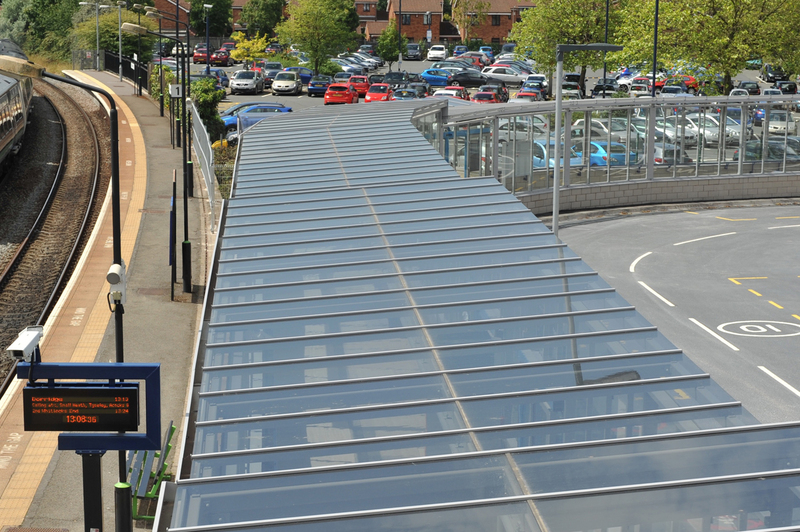 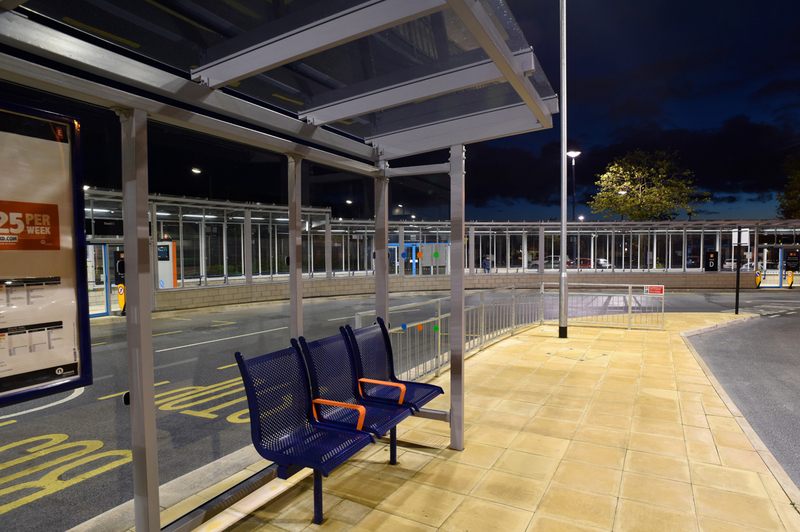 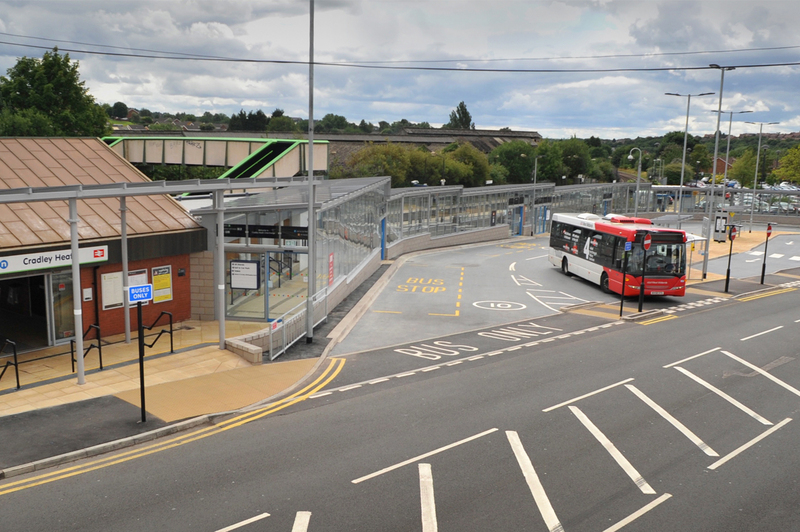 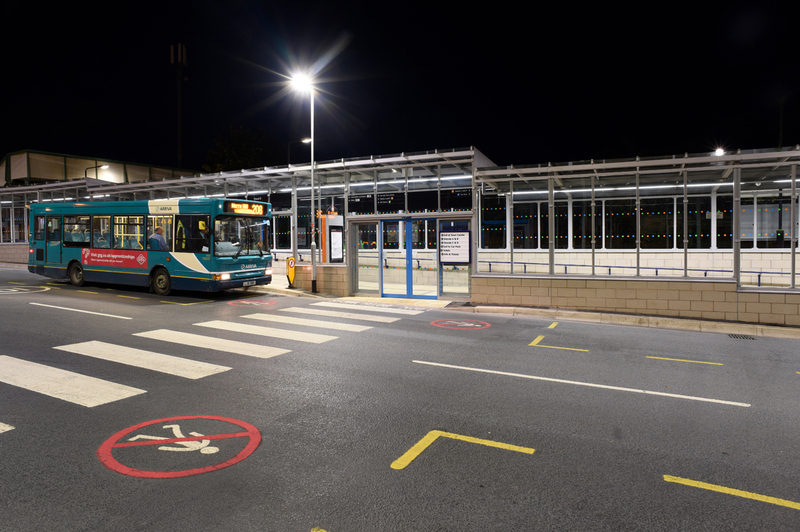 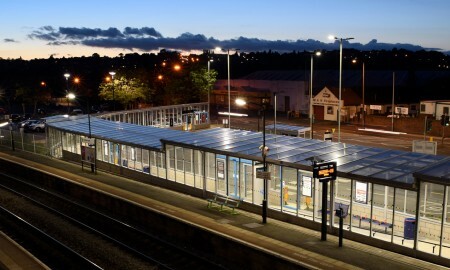 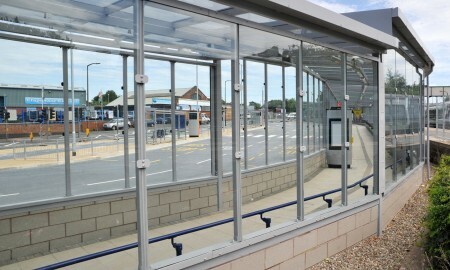 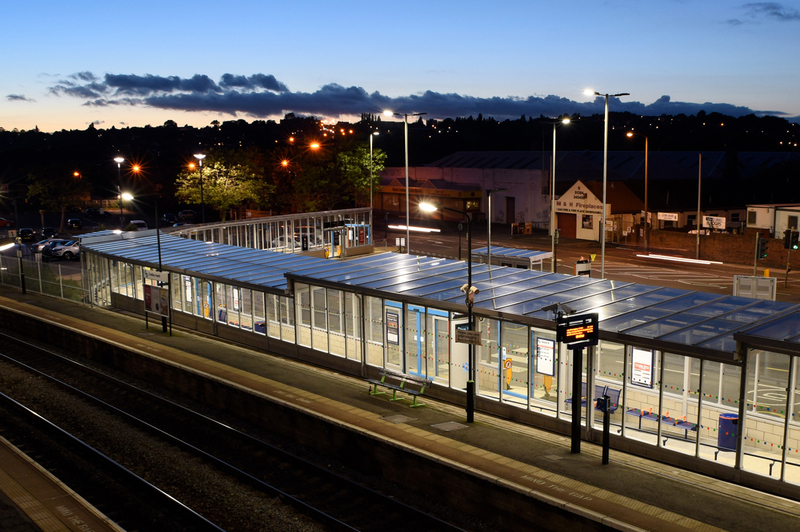 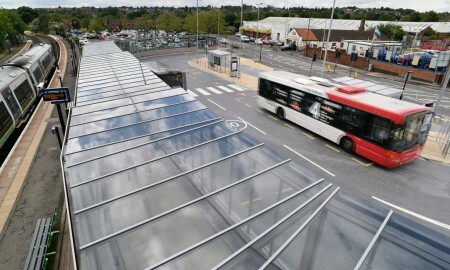 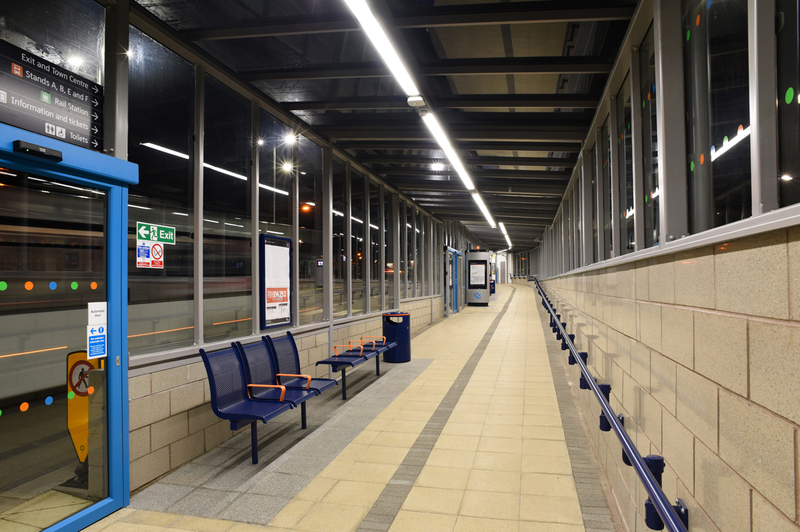 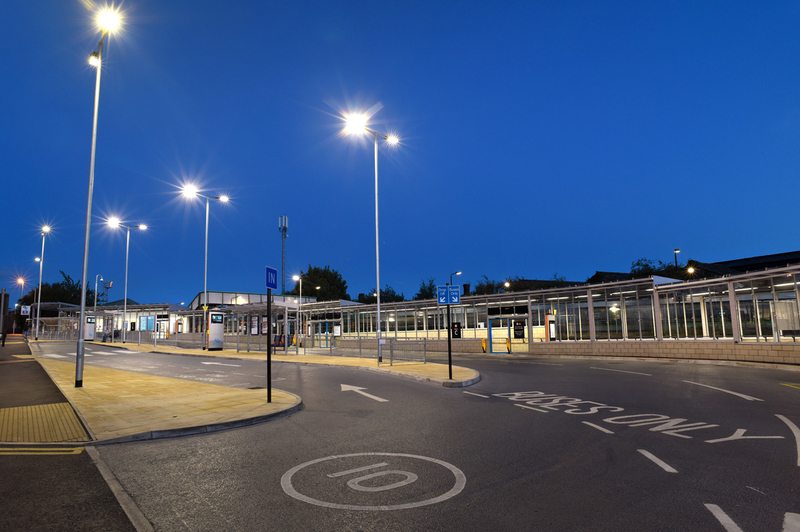 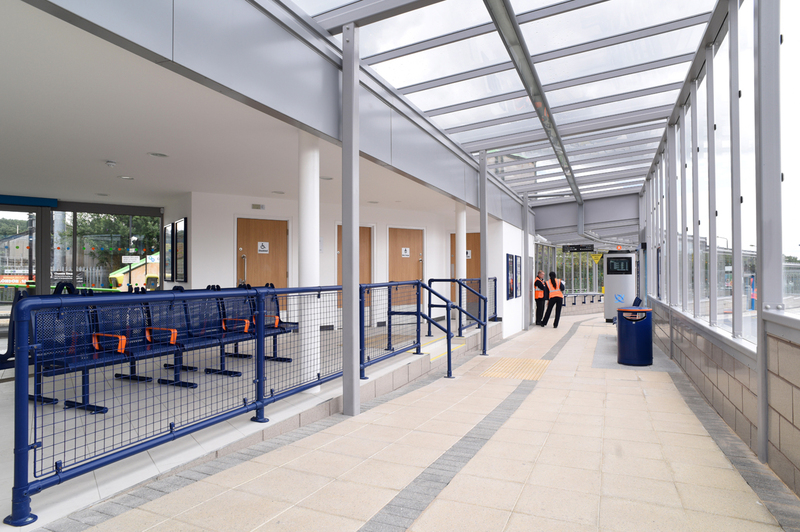 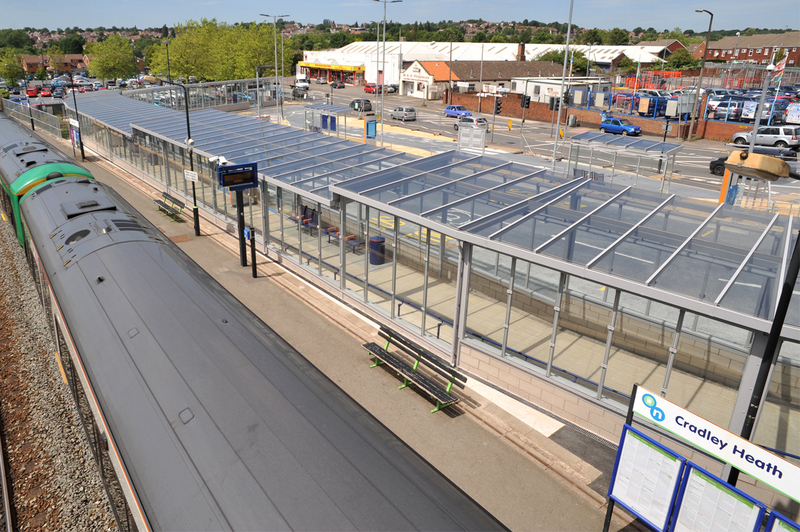 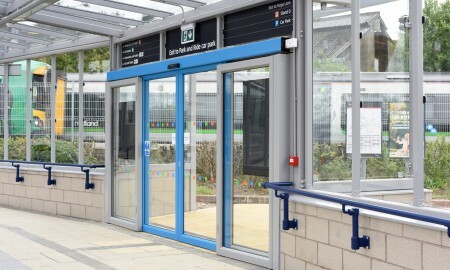 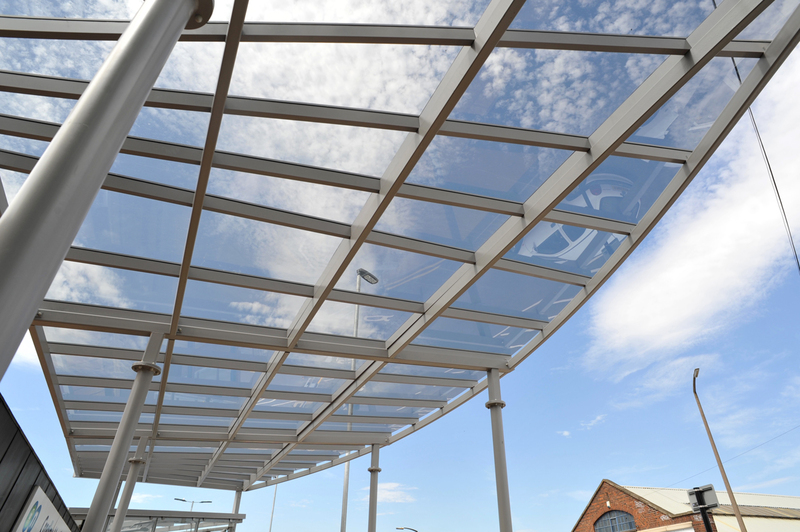 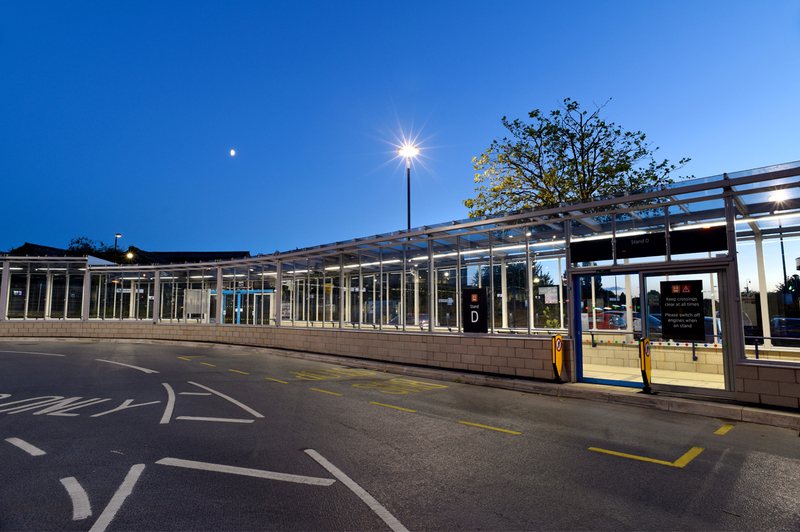 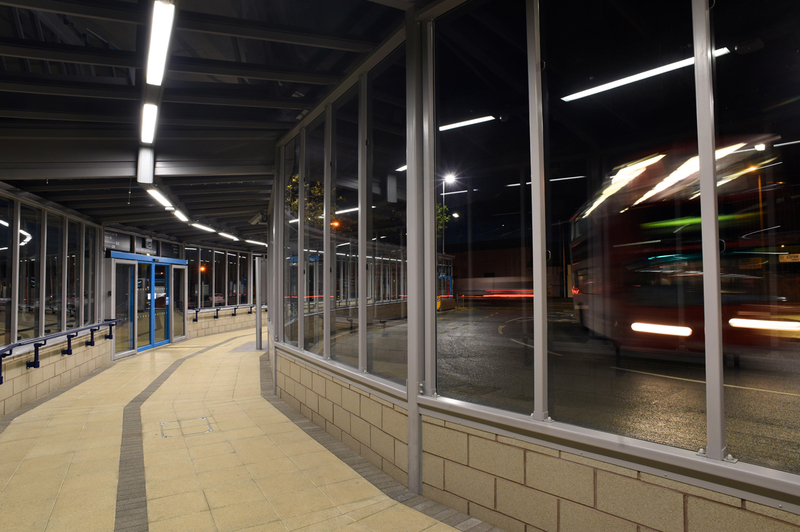 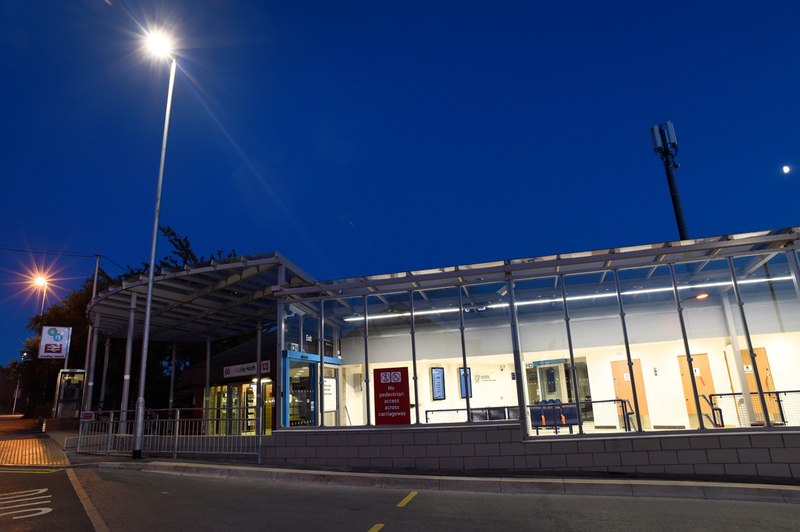 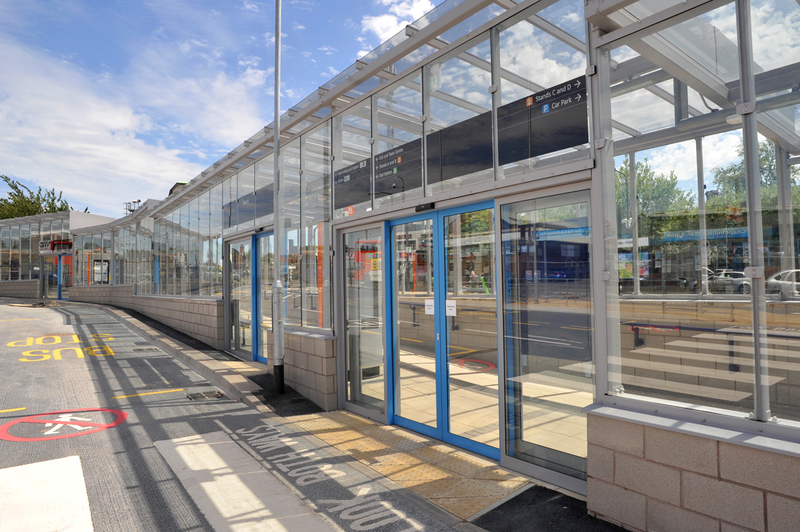 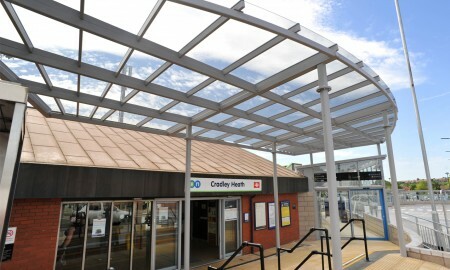 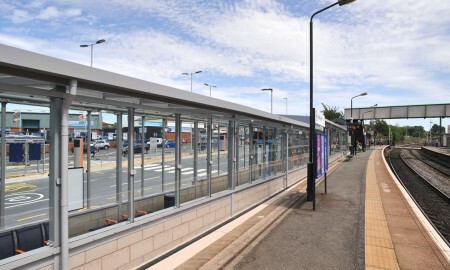 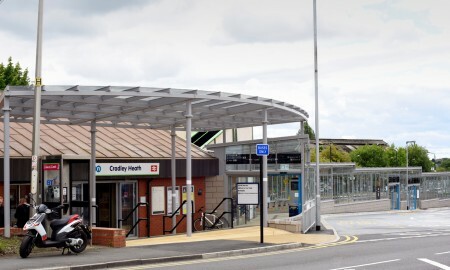 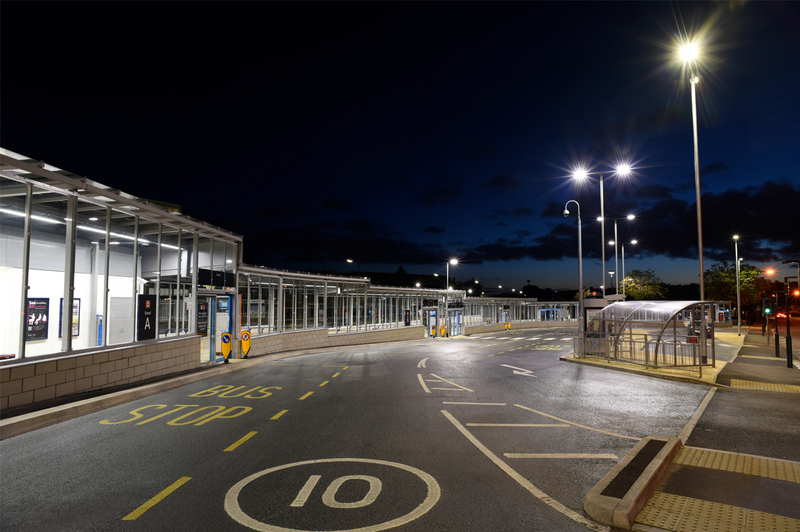 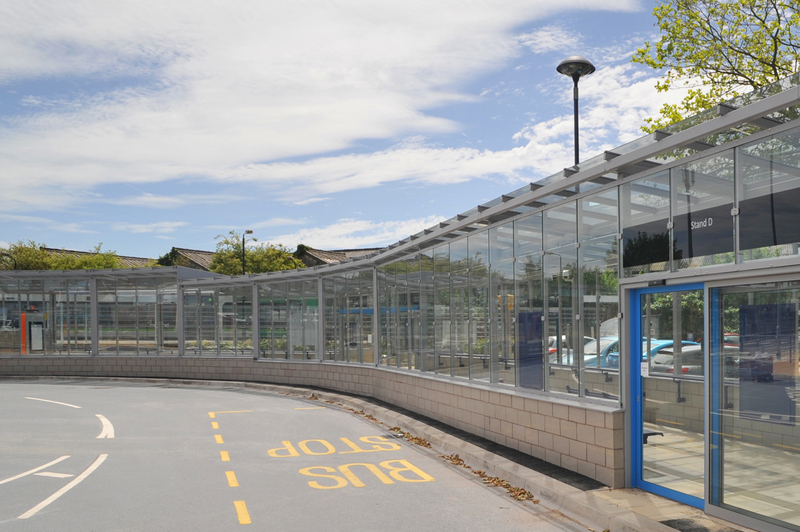 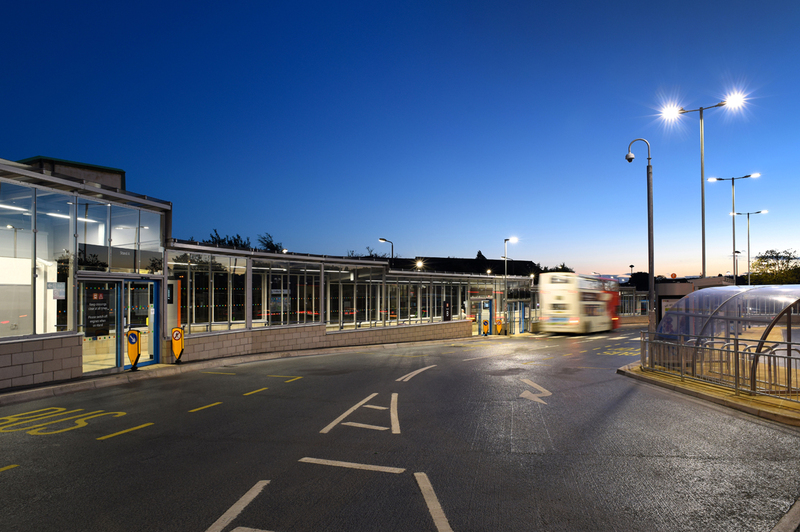 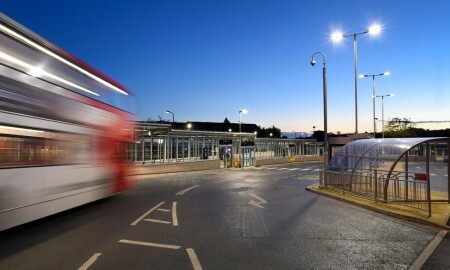 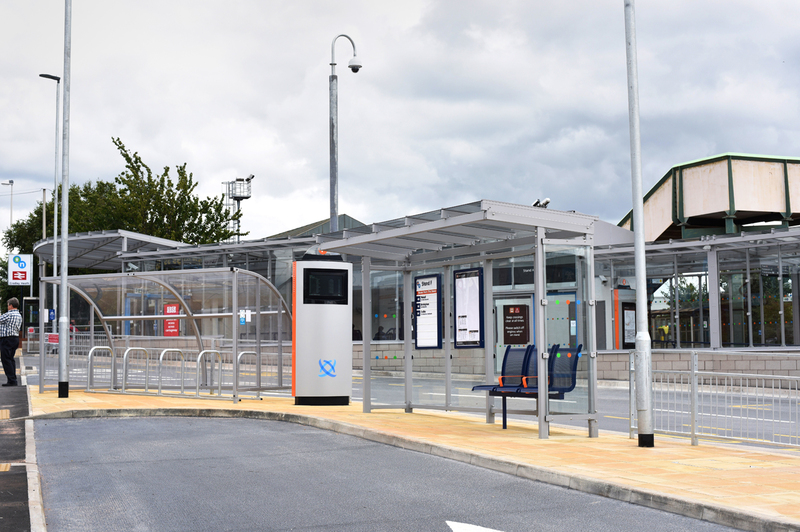 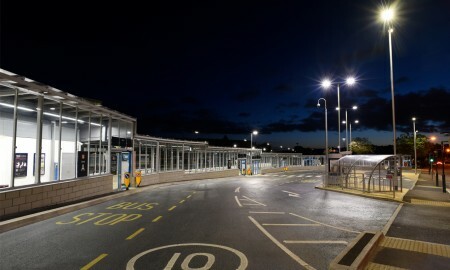 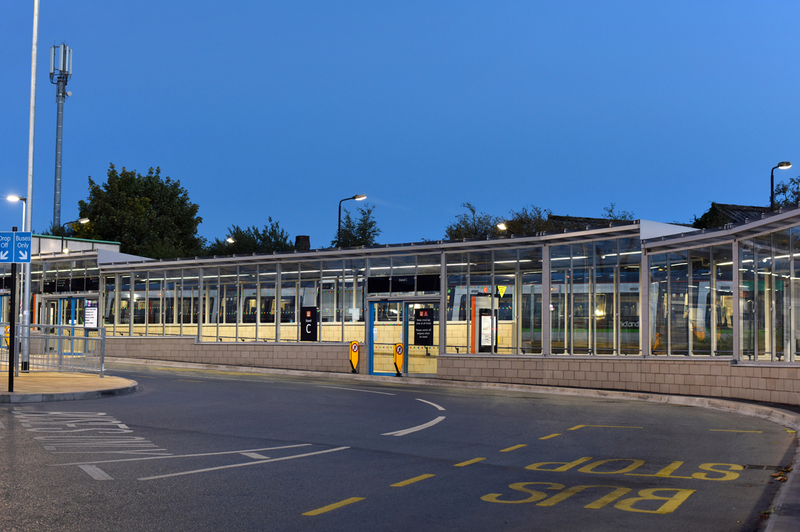 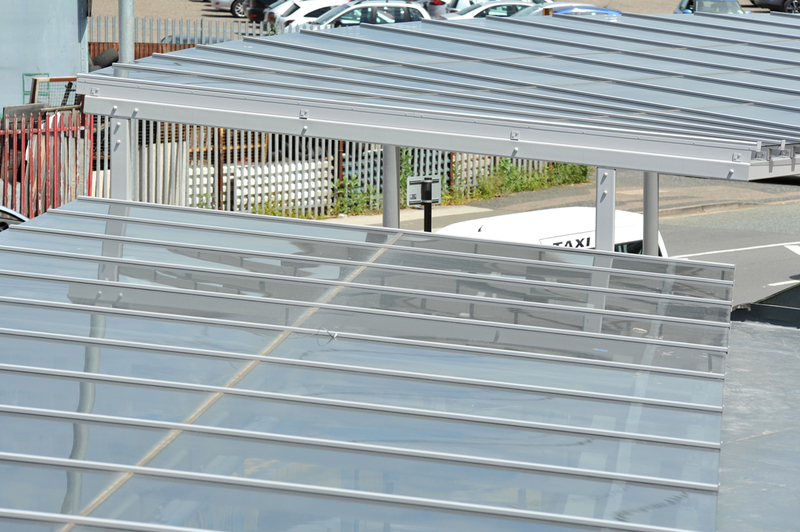 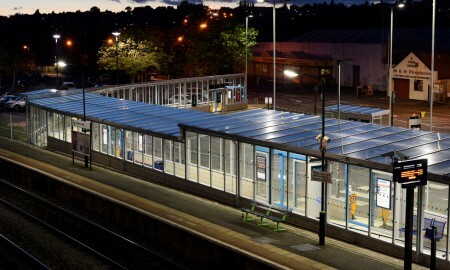 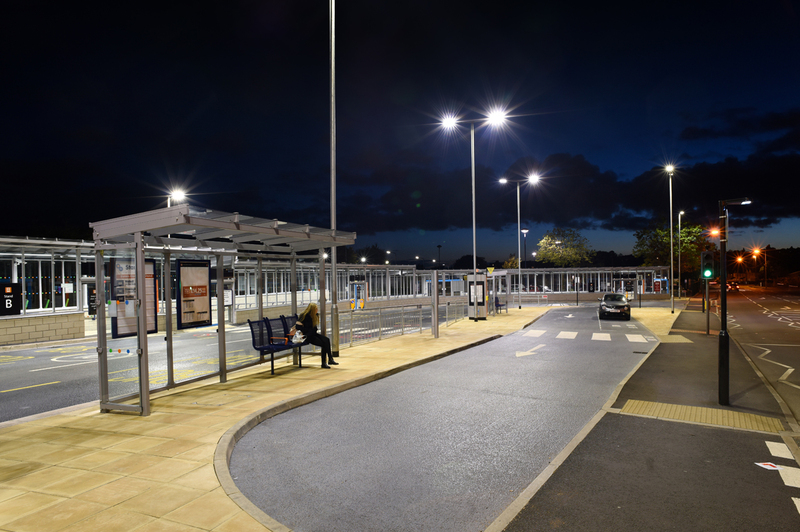 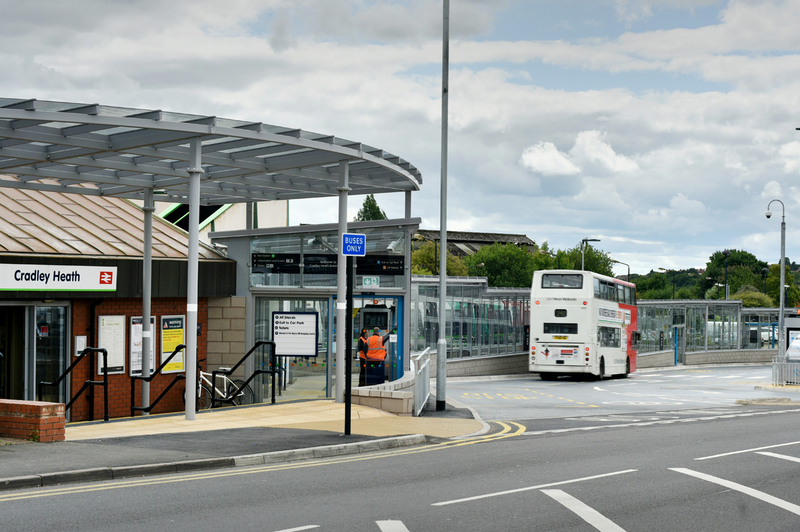 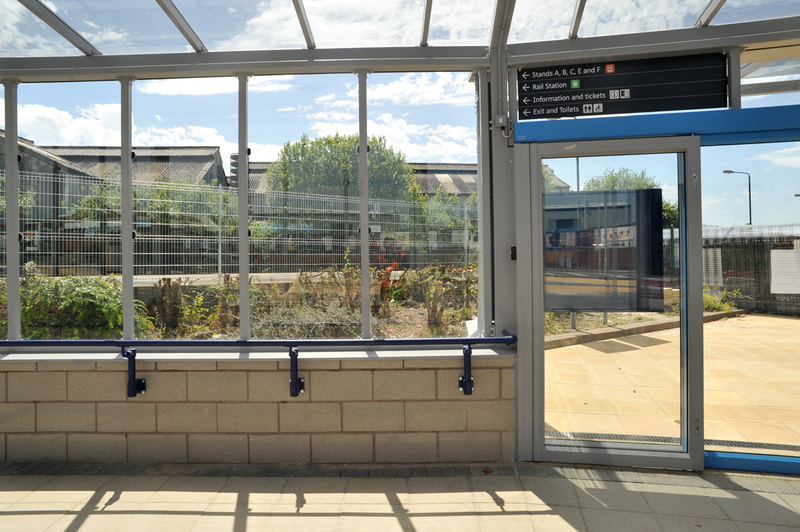 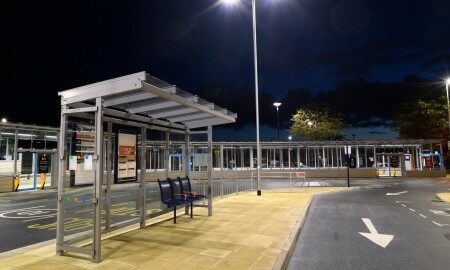 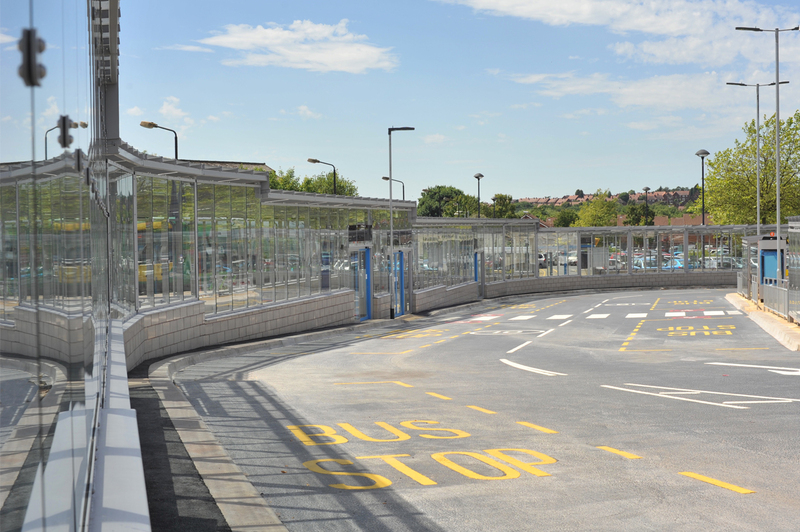 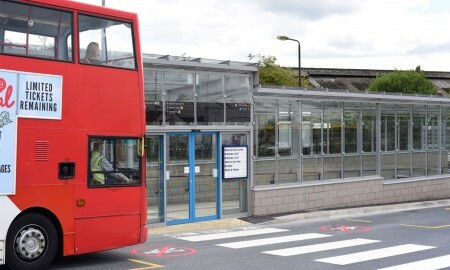 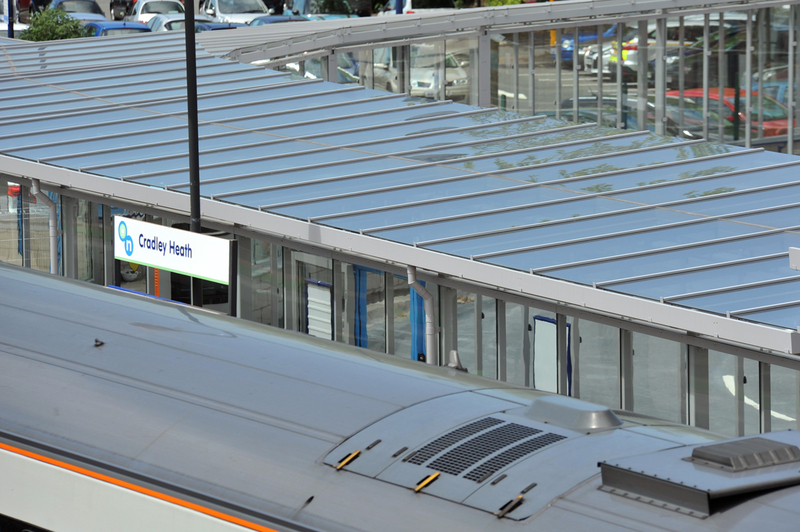 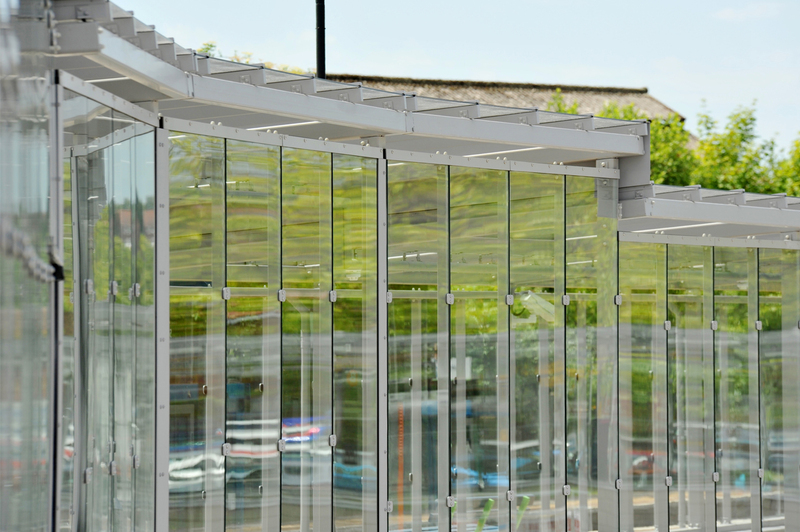 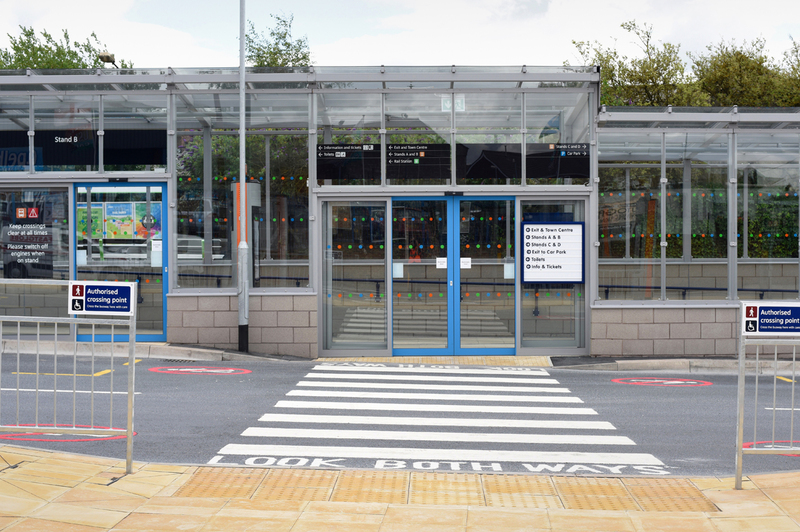 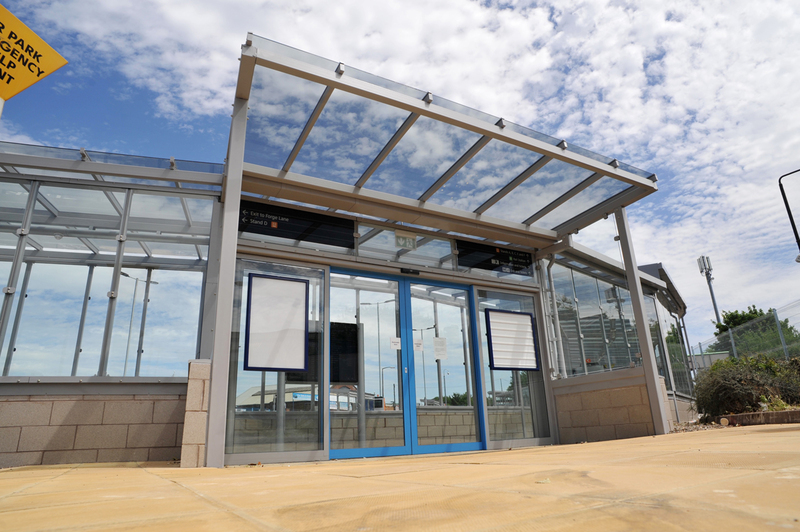 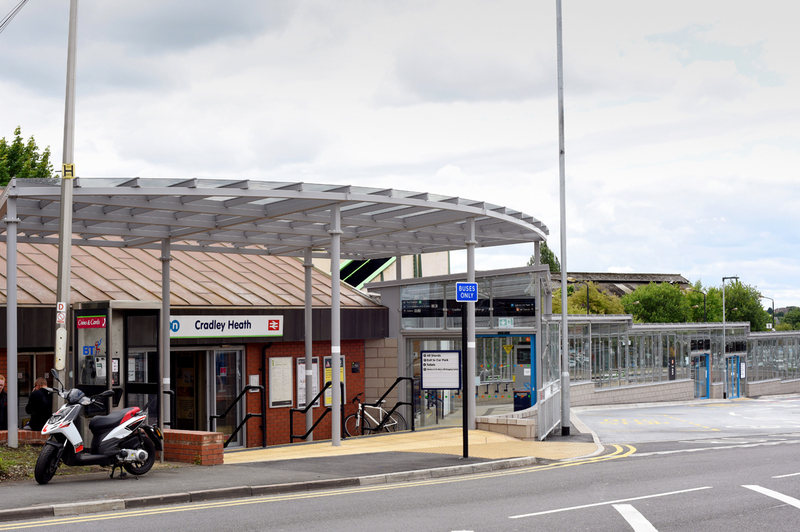 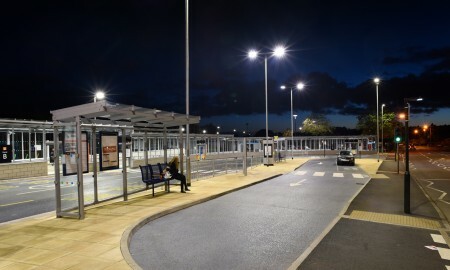 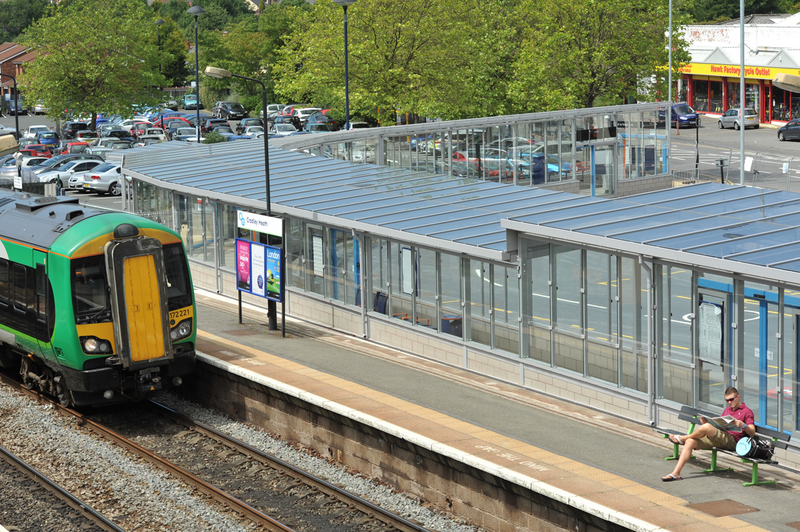 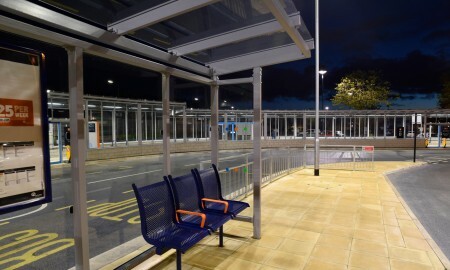 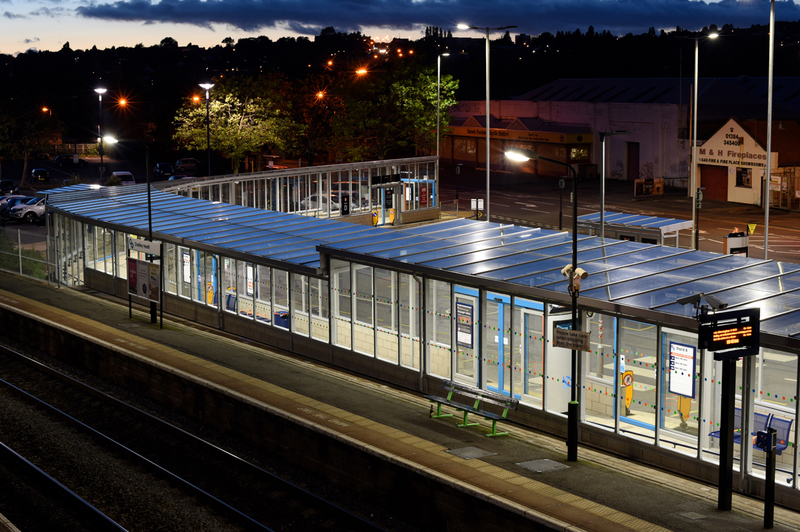 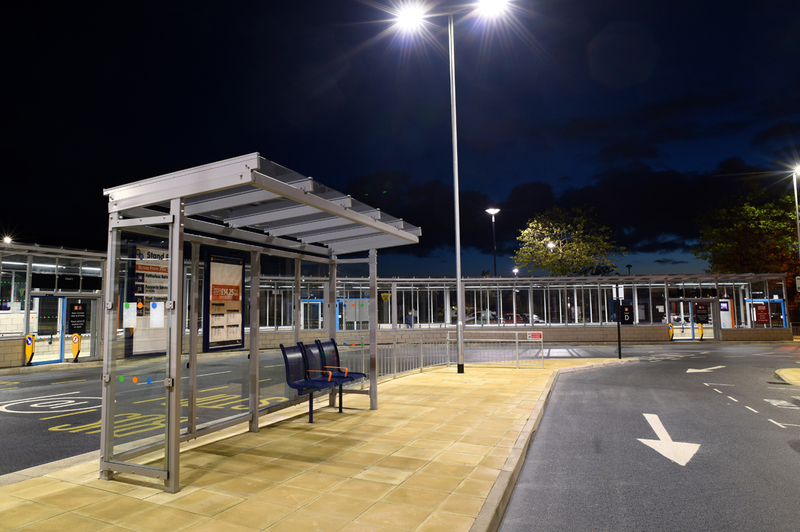 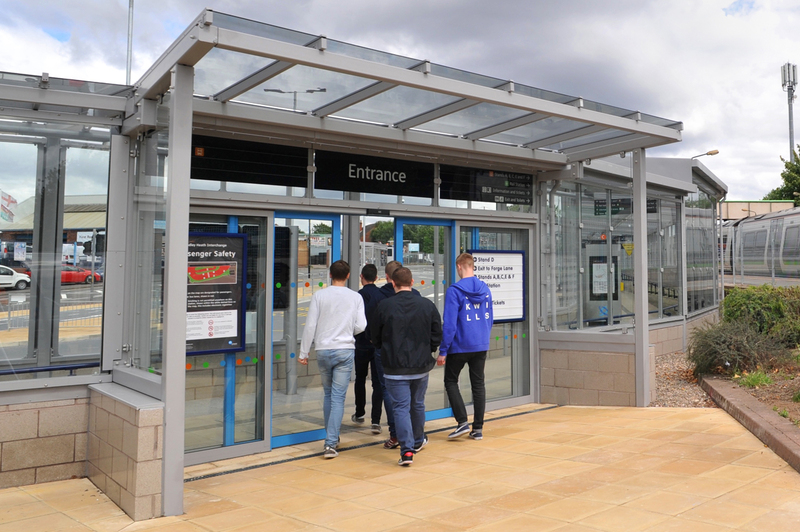 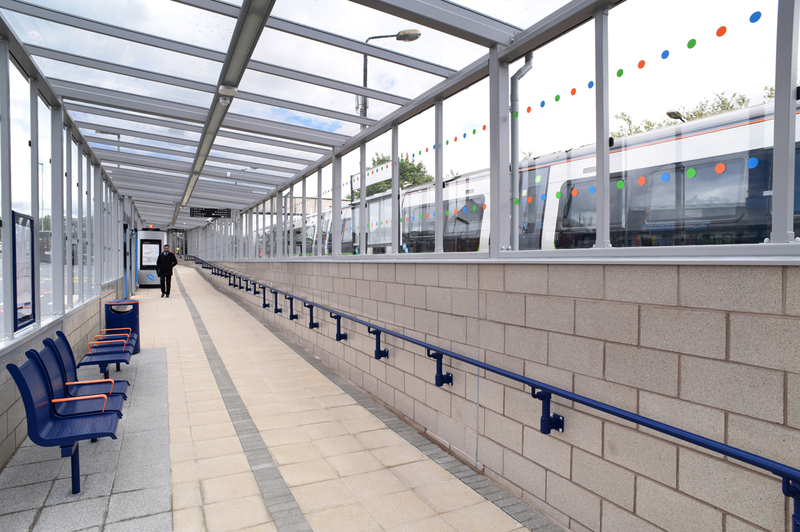 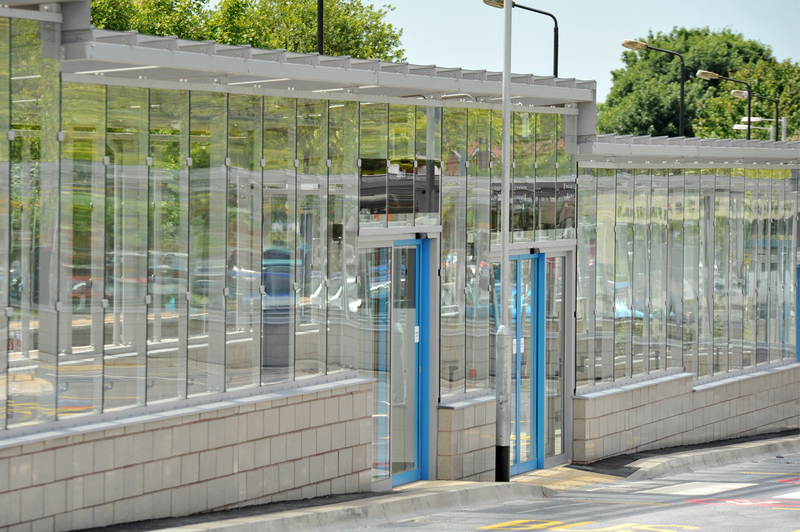 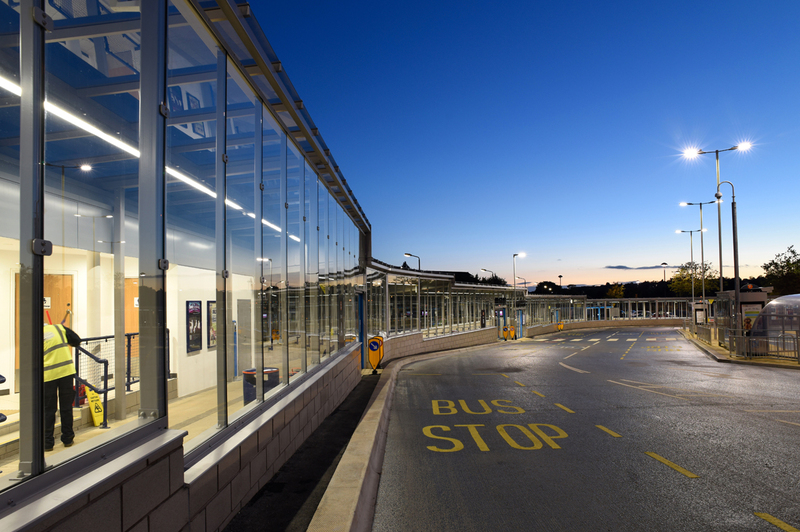 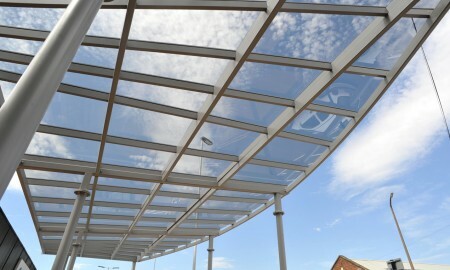 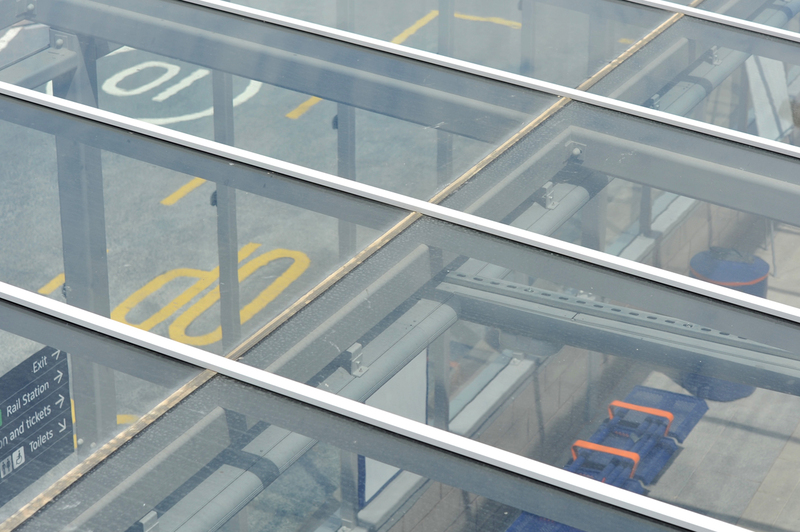 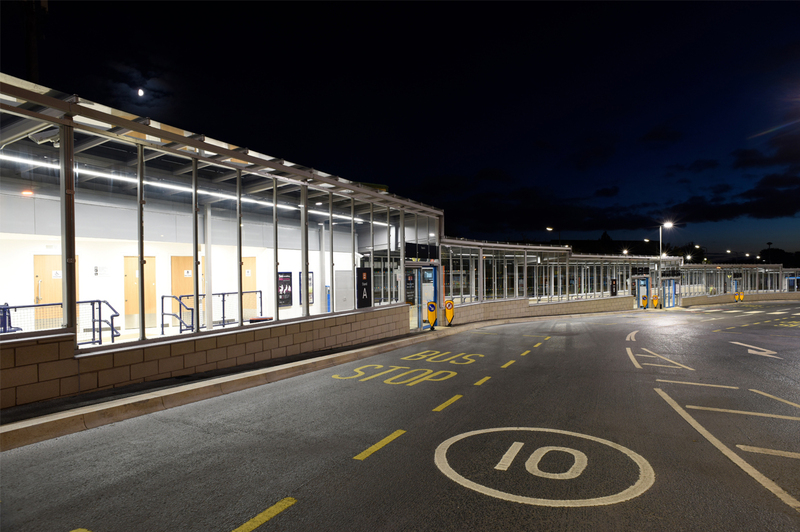 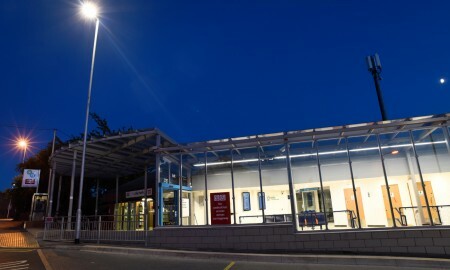 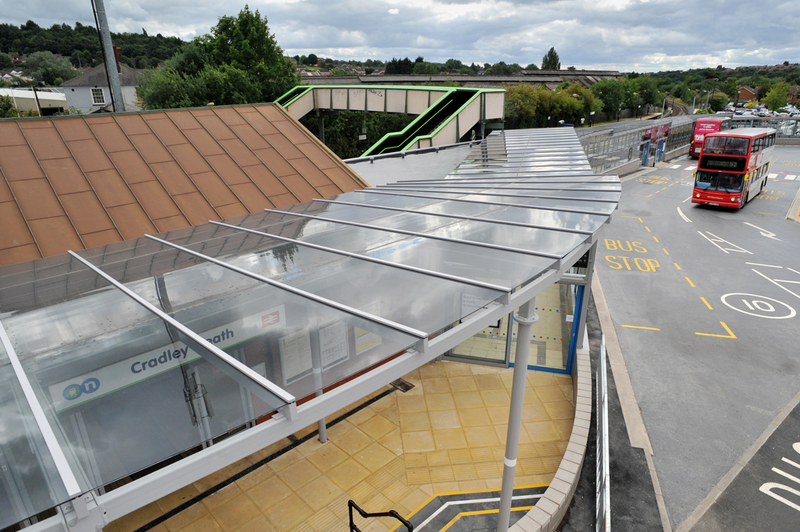 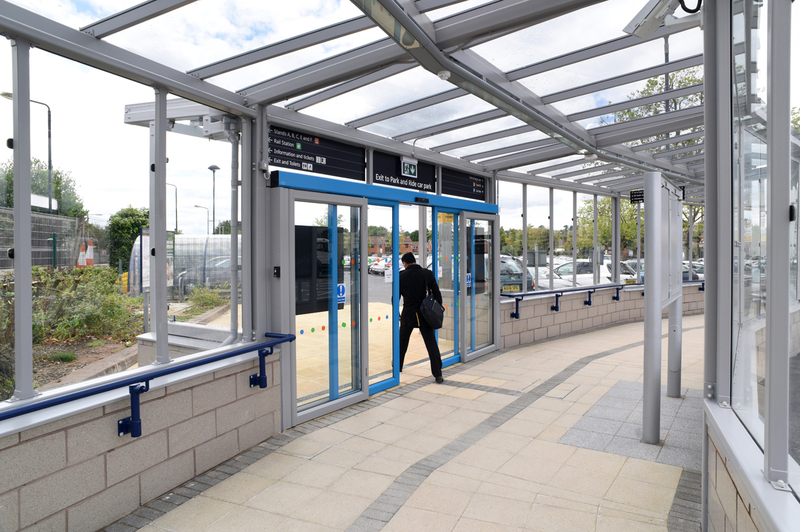 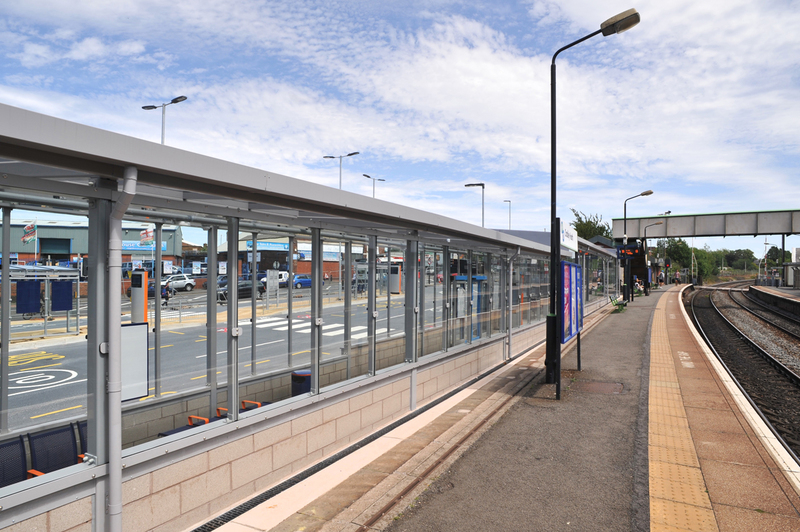 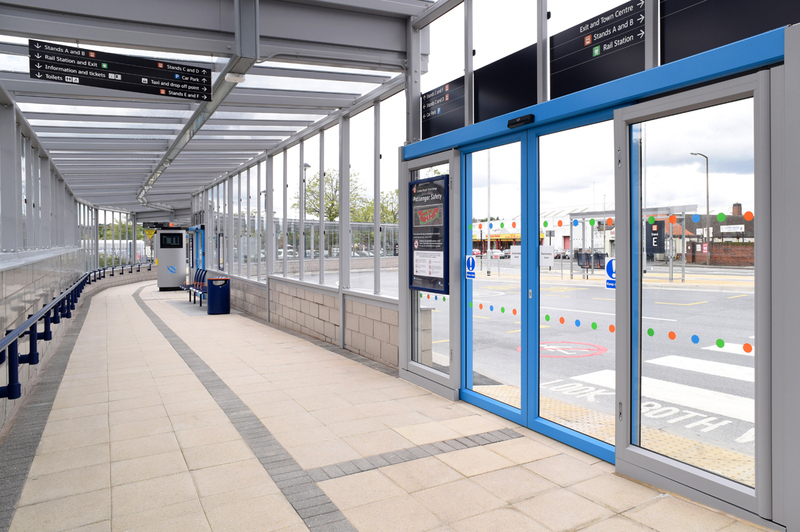 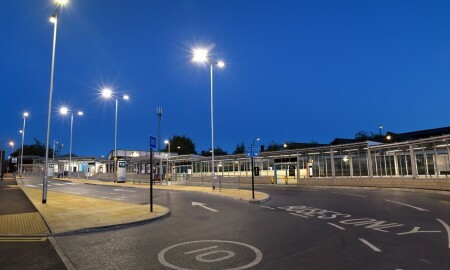 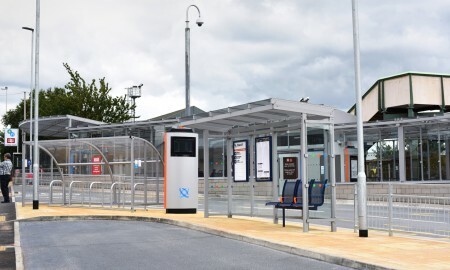 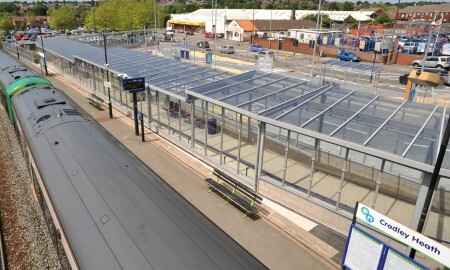 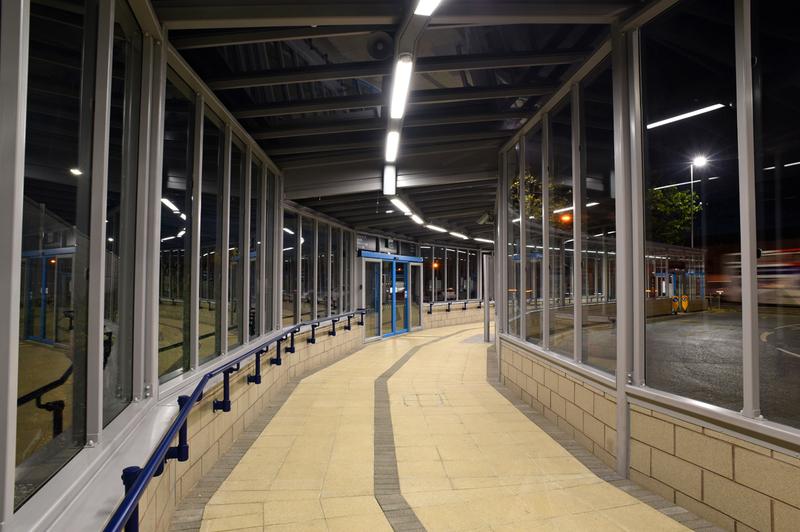 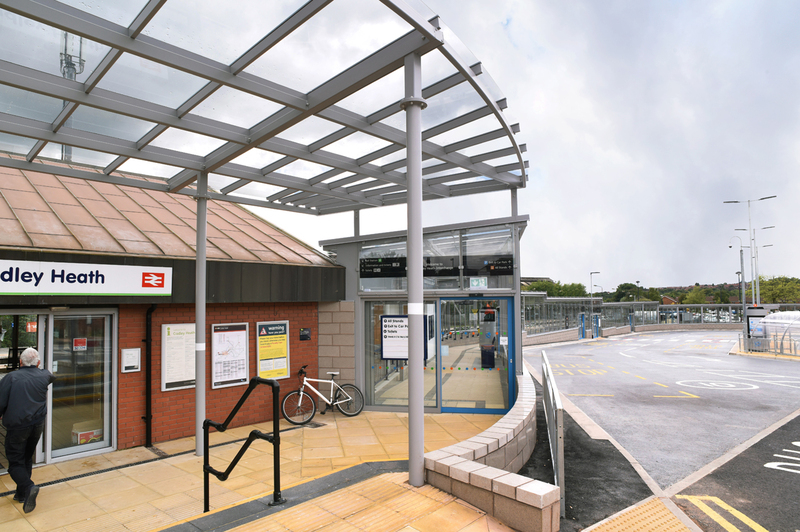 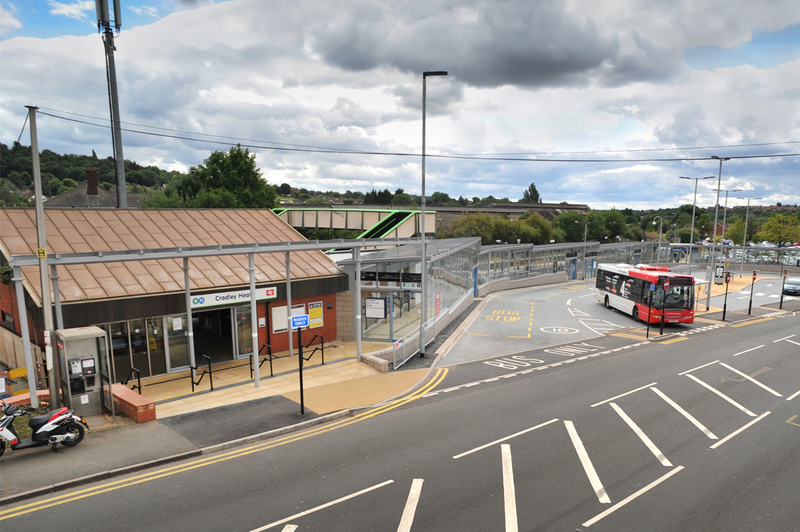 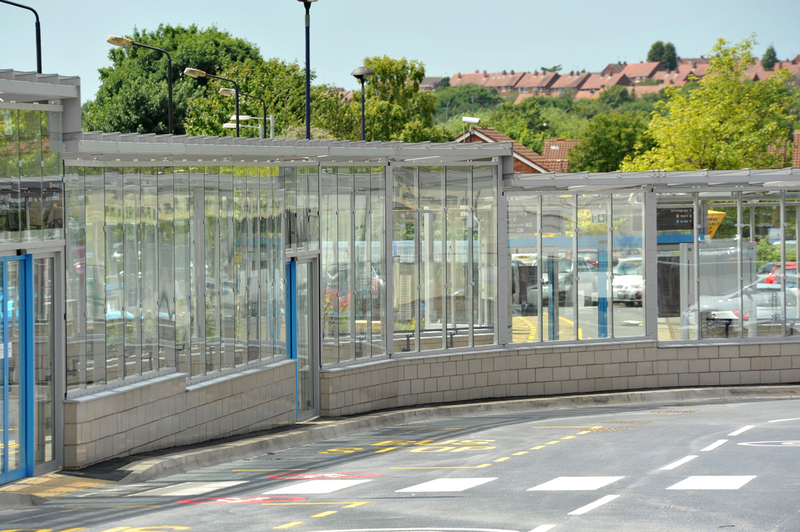 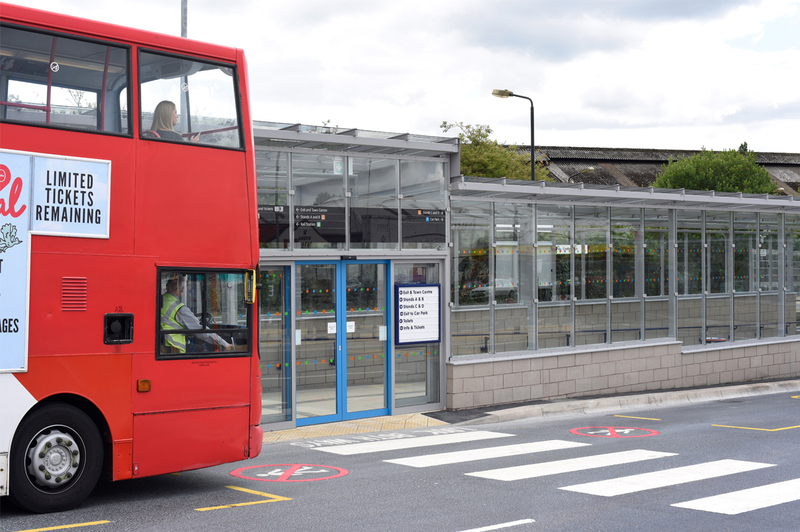 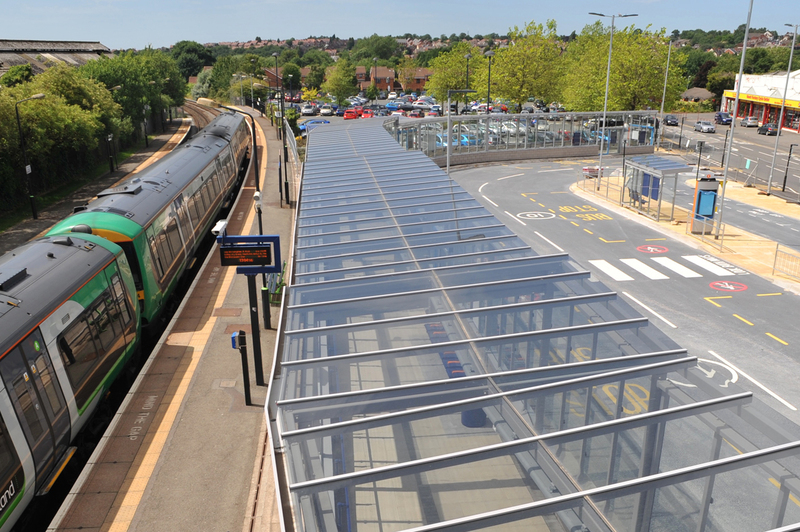 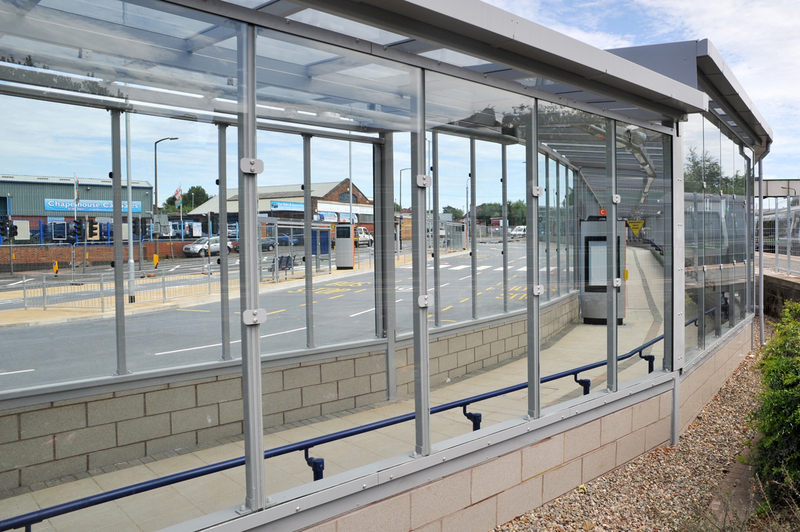 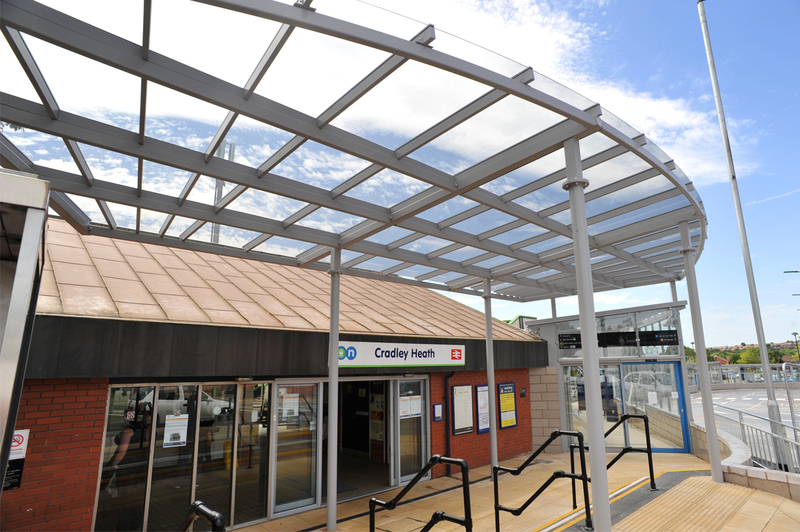 As part of the £1.9 million regeneration of the Cradley Heath bus/Rail Interchange for Centro by Dawnus Construction Ltd, Broxap were chosen to provide the passenger waiting facilities. 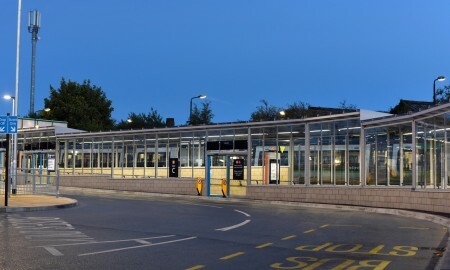 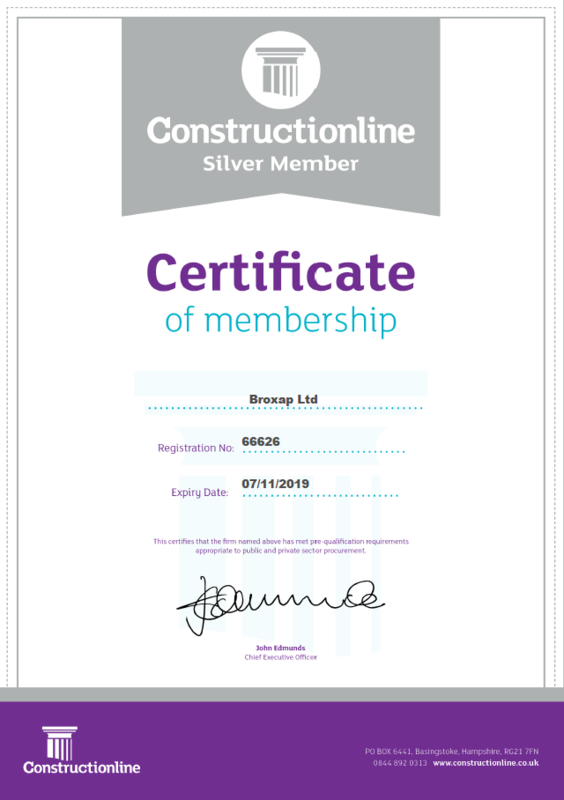 Broxap carried out surveying and foundation set out design over and above the original brief in order to move this project forward at pace, thus completing the installation within a 17 week timescale. 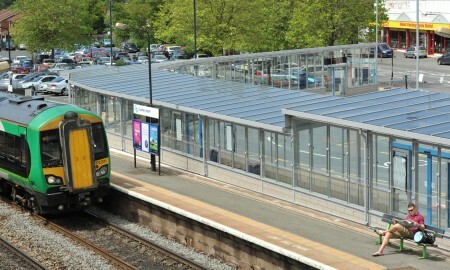 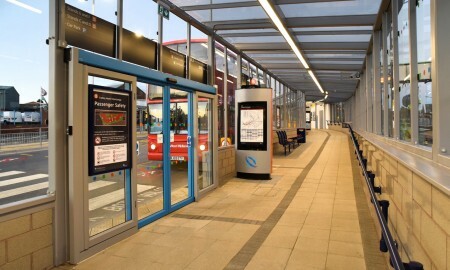 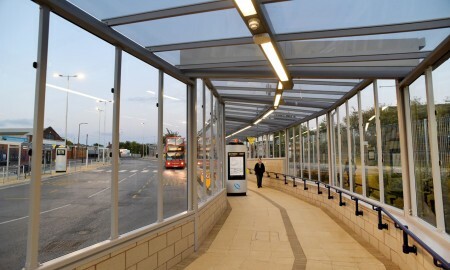 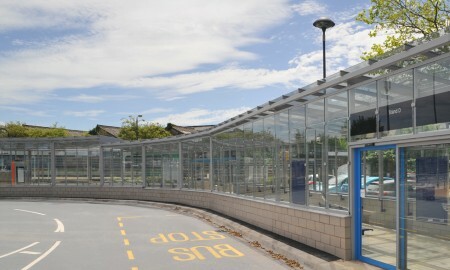 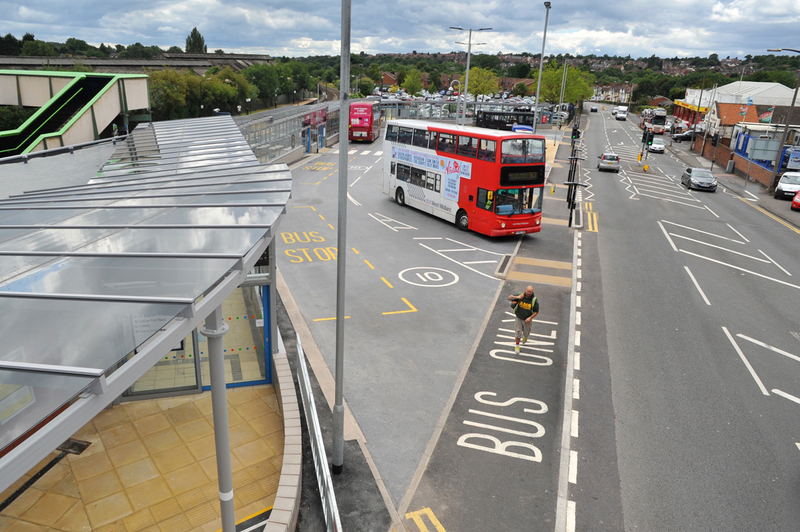 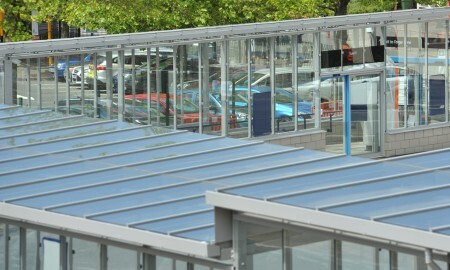 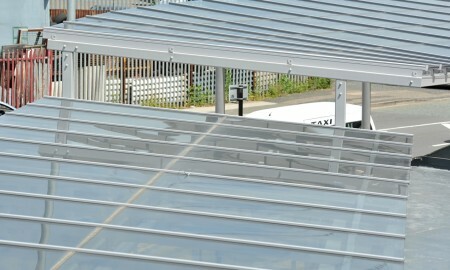 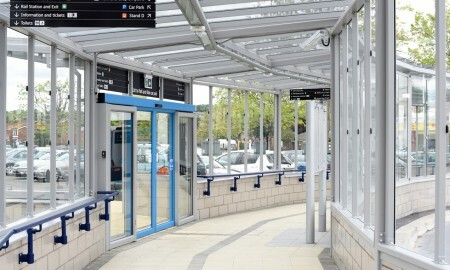 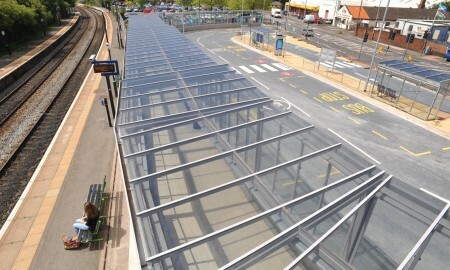 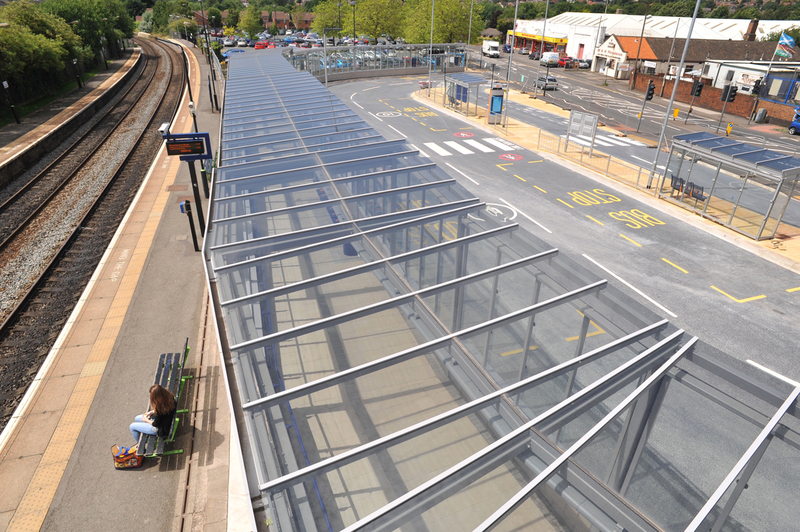 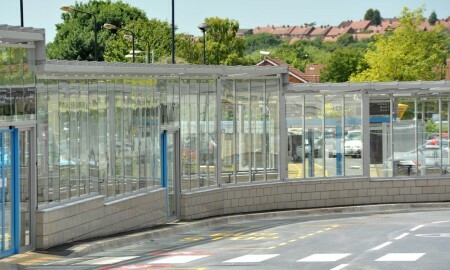 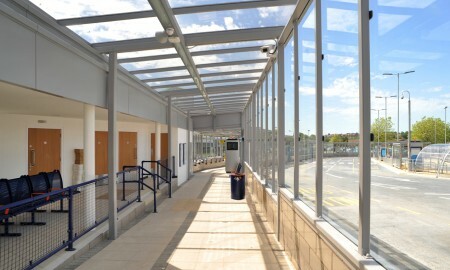 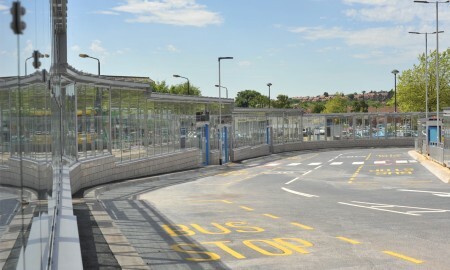 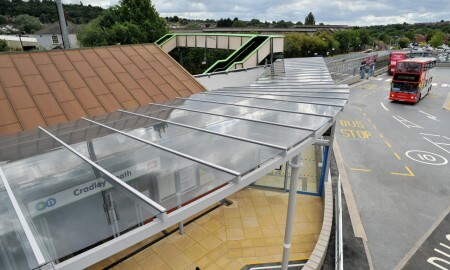 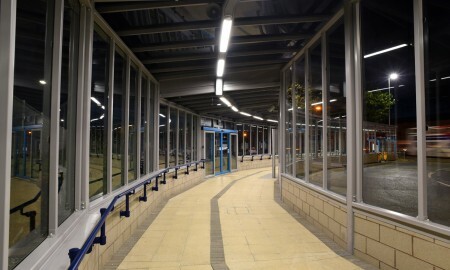 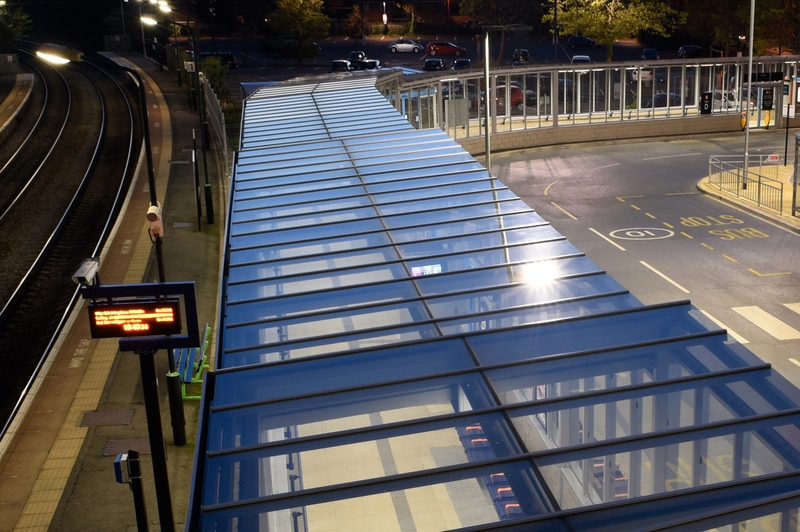 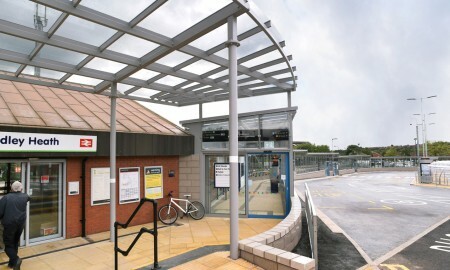 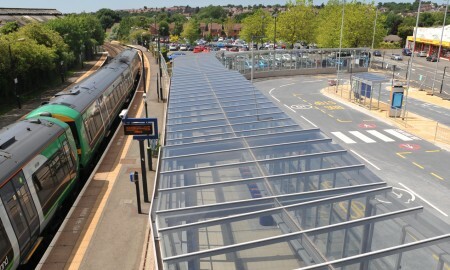 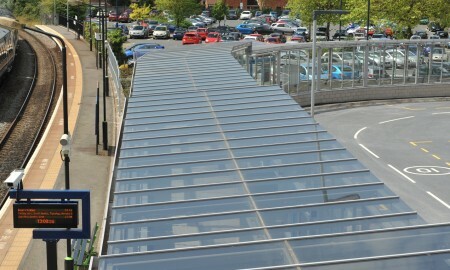 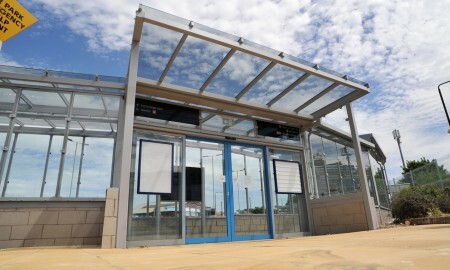 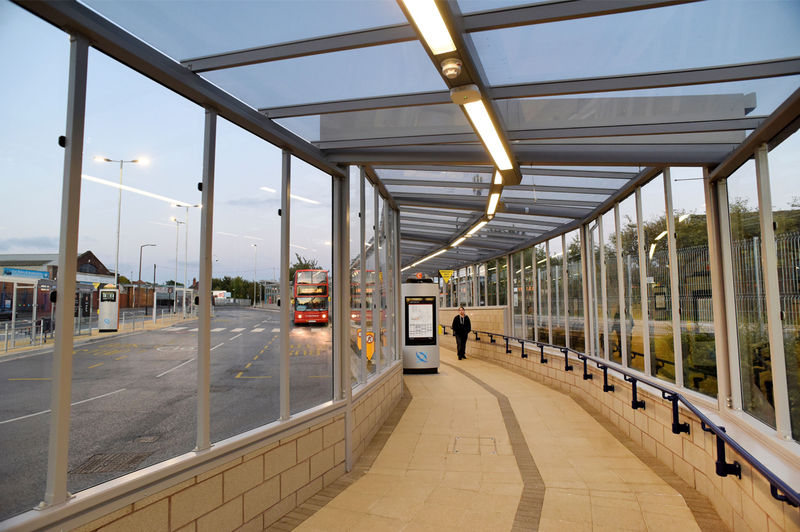 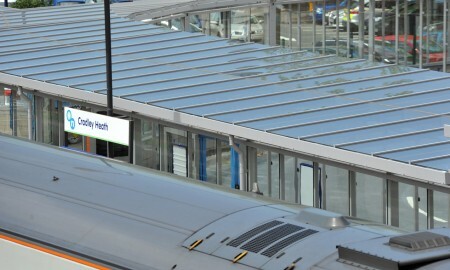 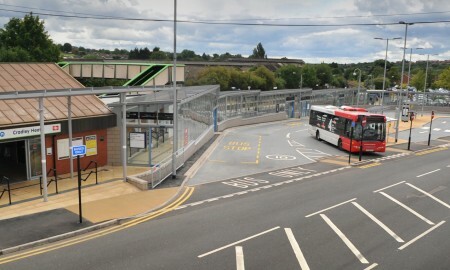 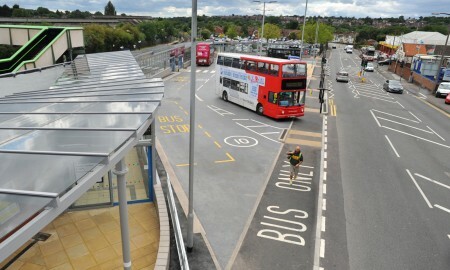 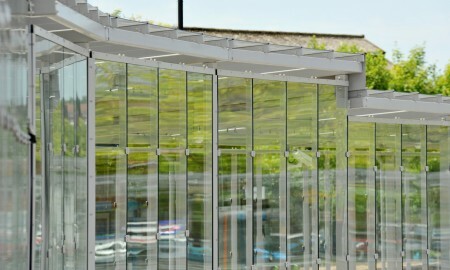 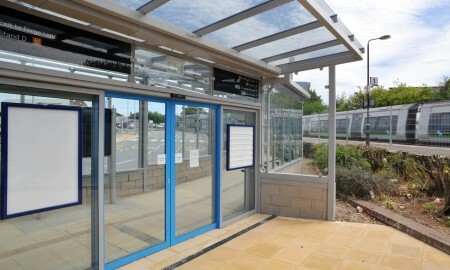 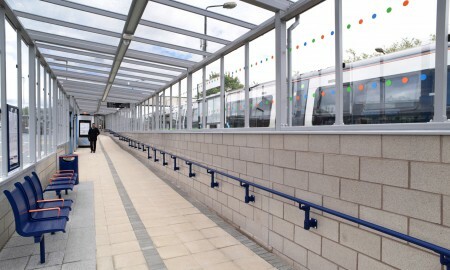 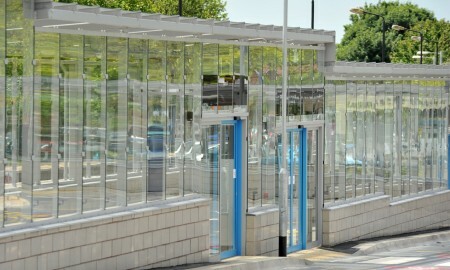 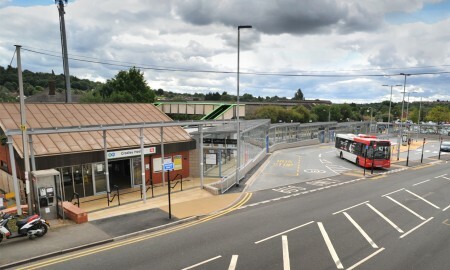 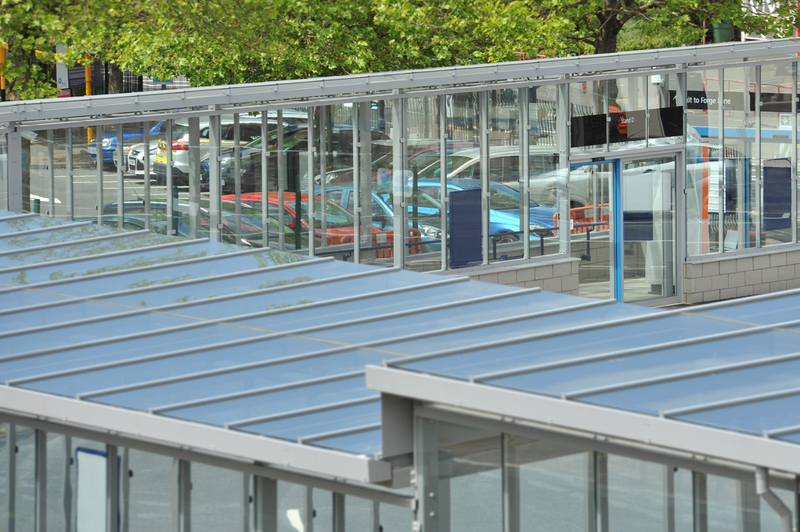 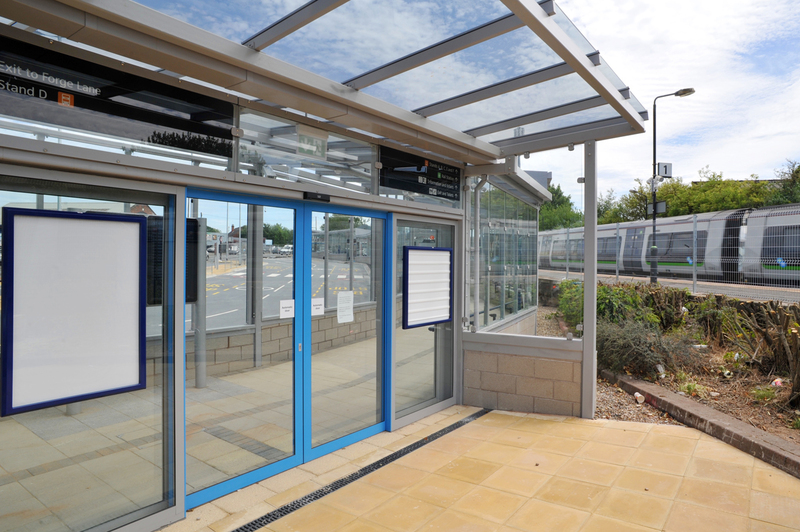 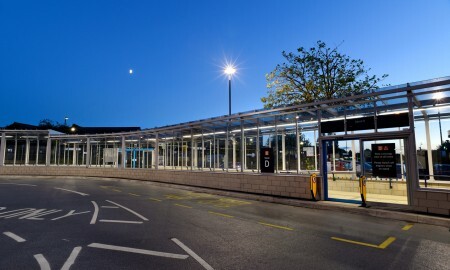 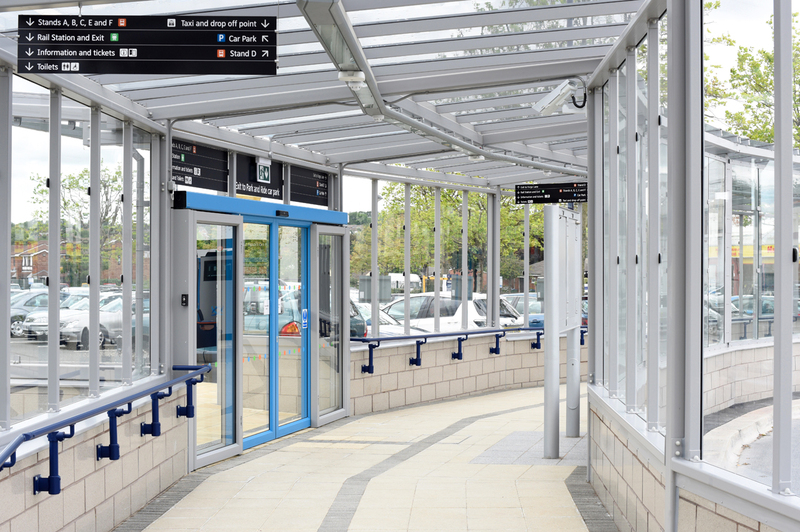 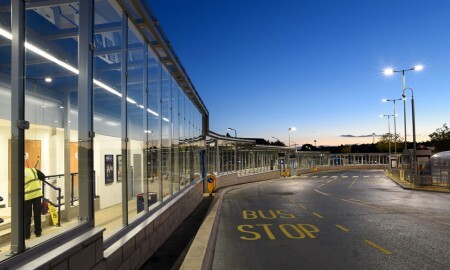 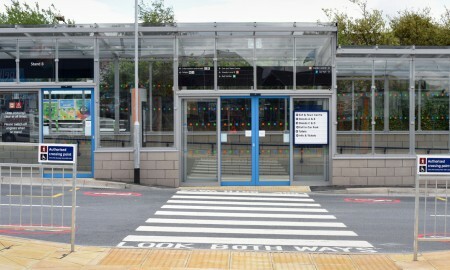 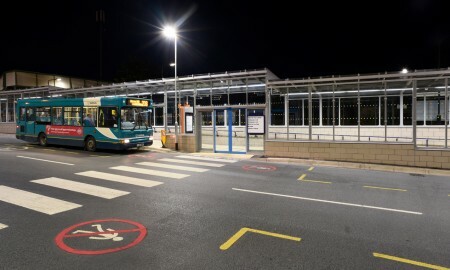 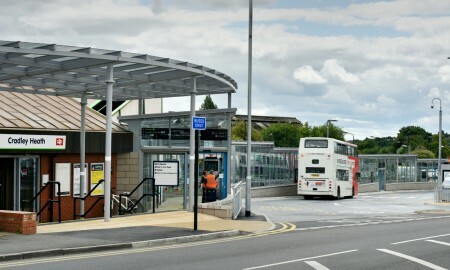 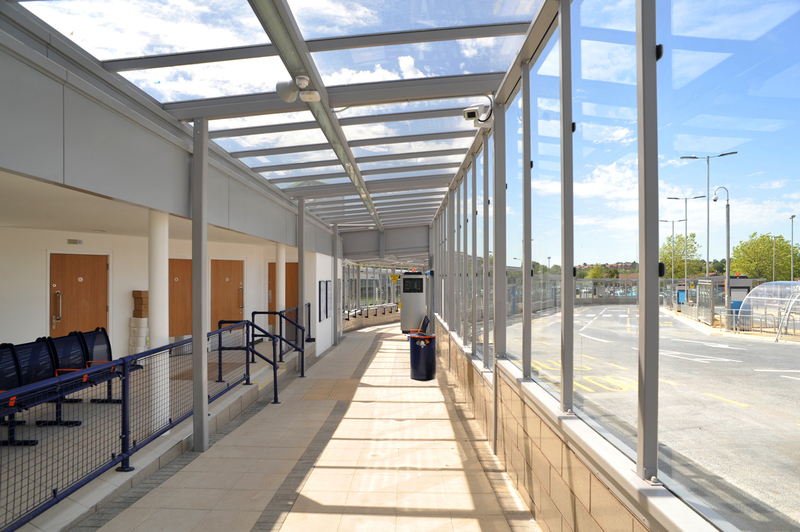 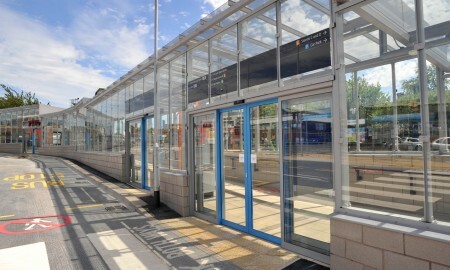 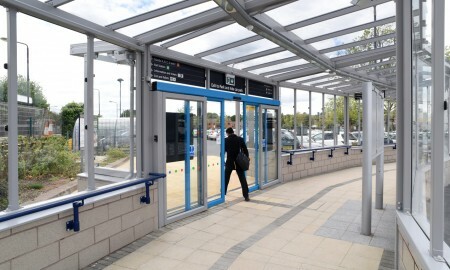 The entrance to the Interchange features a glazed fan shaped canopy with heat soaked toughened laminate glazing, this was supported by a galvanized and powder coated structure, this leads to an enclosed walkway with clear glazed panels and integral lighting that services six bus stops, four within the existing building and two on a newly-constructed island stand. 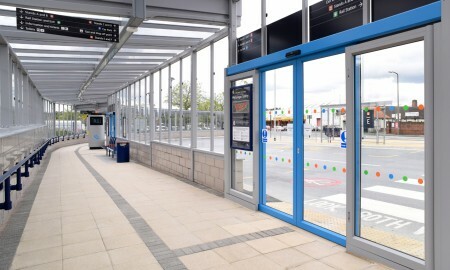 Each stand has automatic doors which open when a bus arrives. 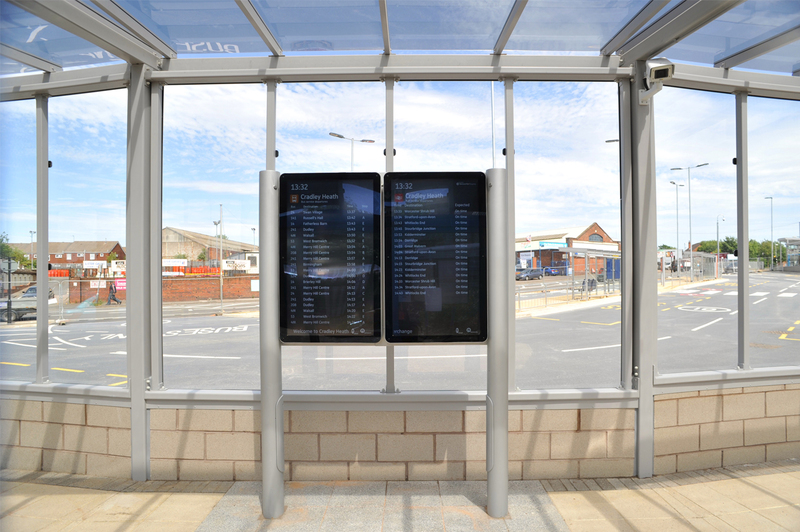 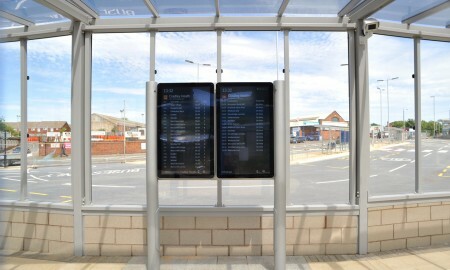 Integral electronic timetables allow passengers to keep up to date with bus times and whereabouts. 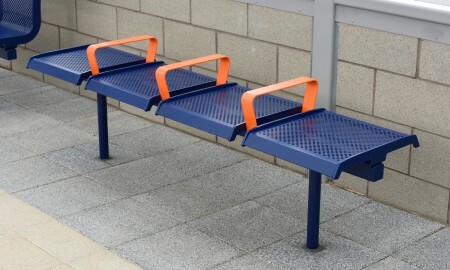 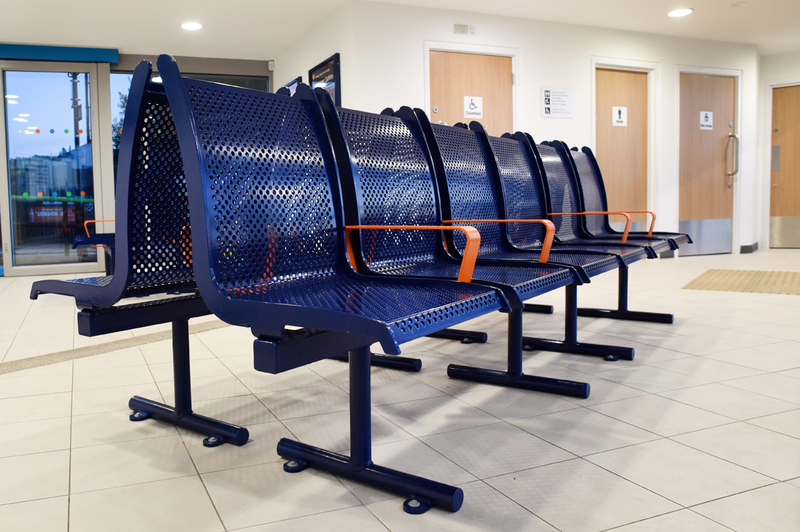 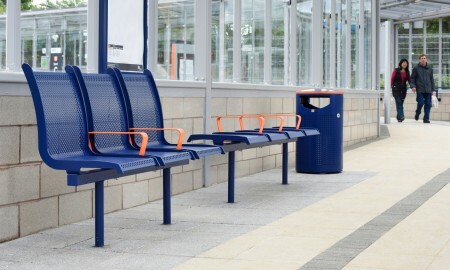 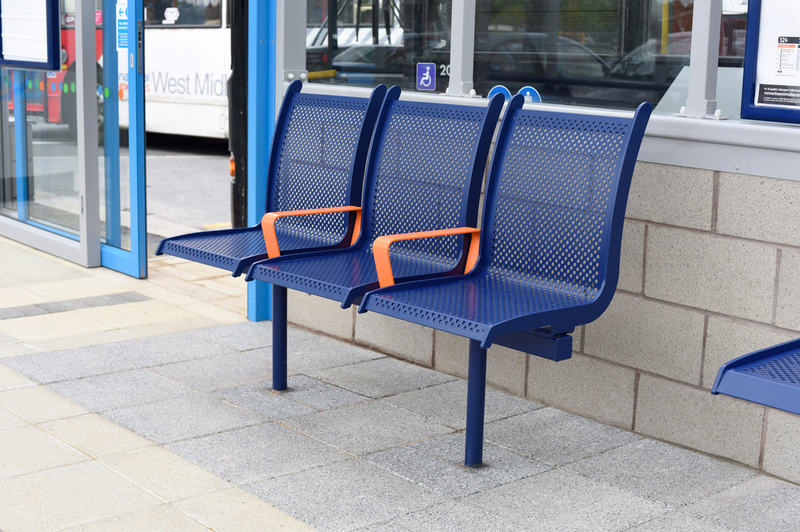 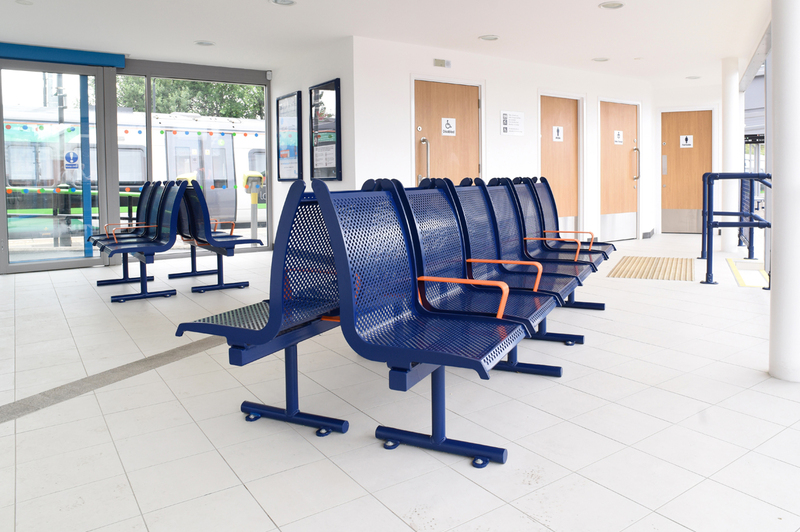 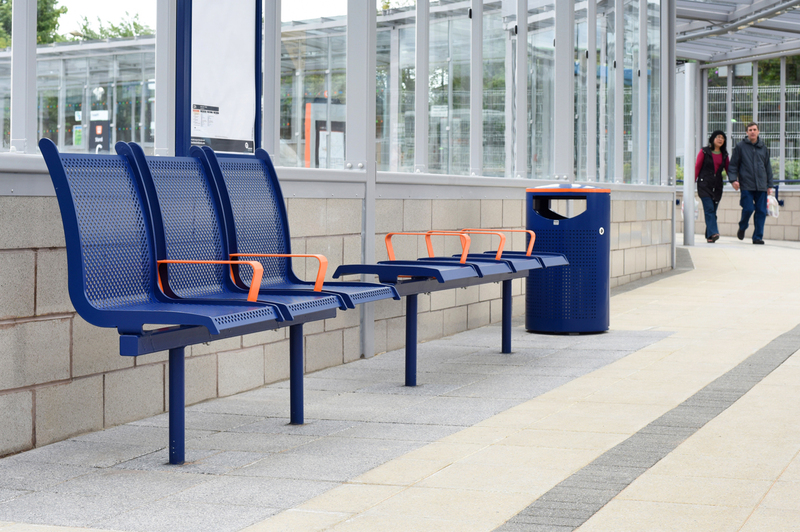 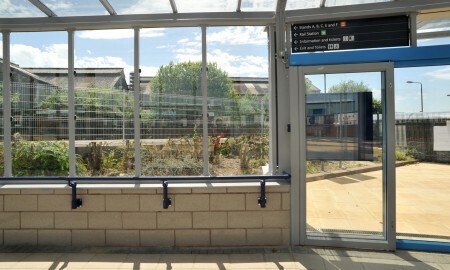 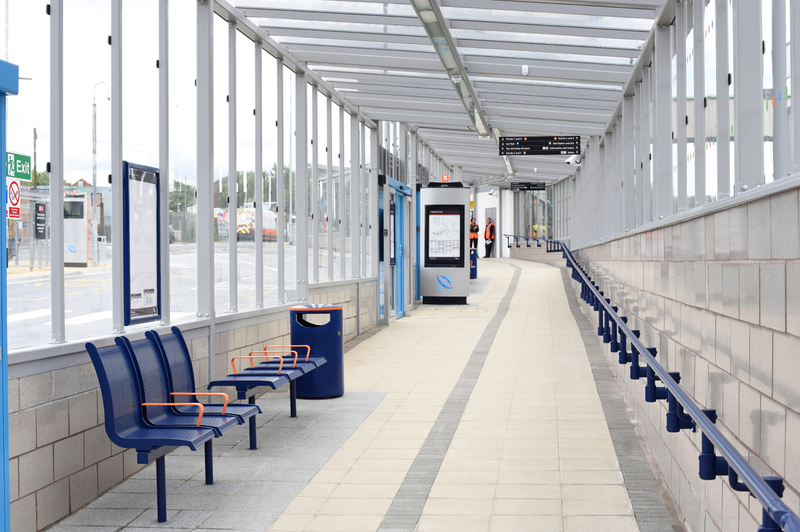 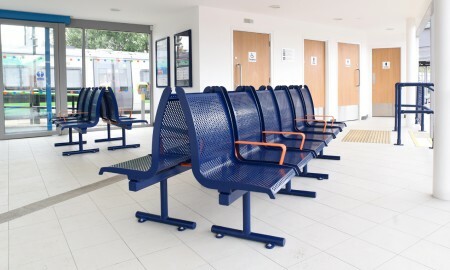 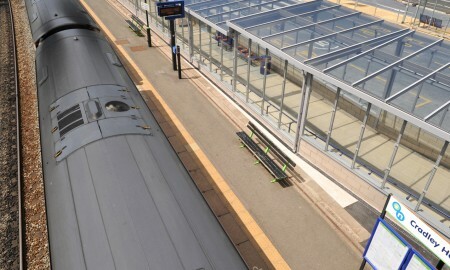 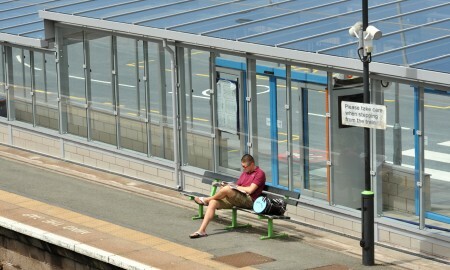 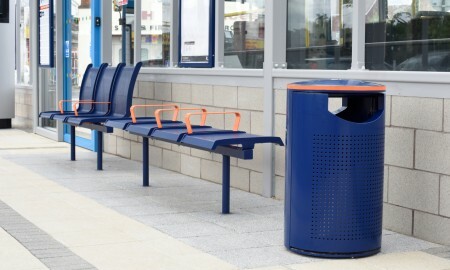 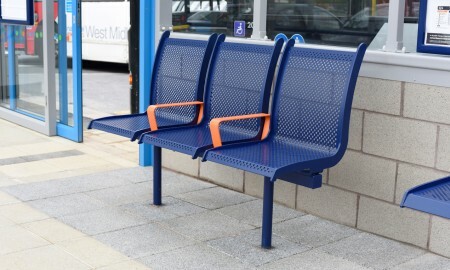 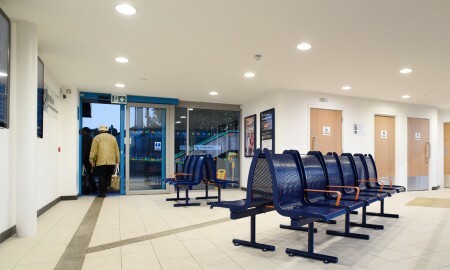 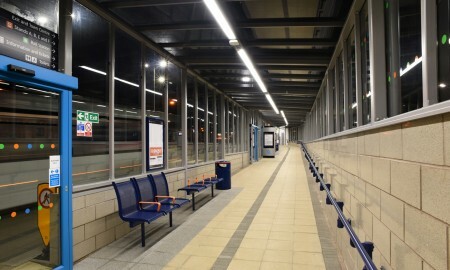 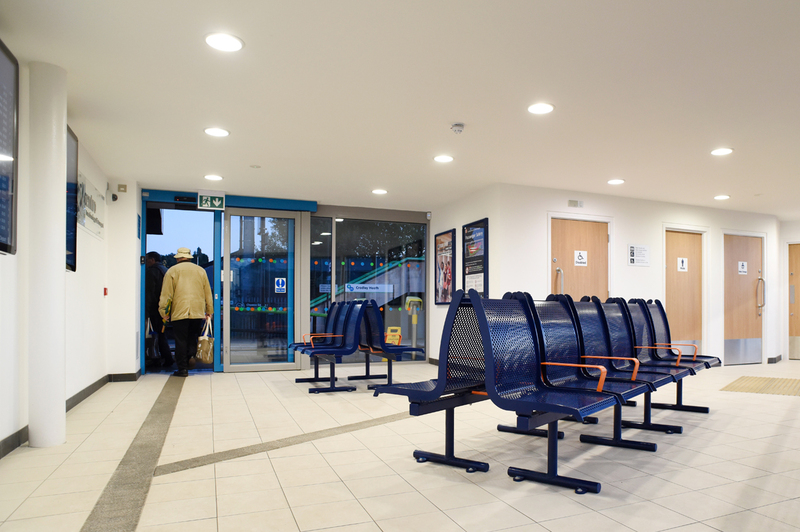 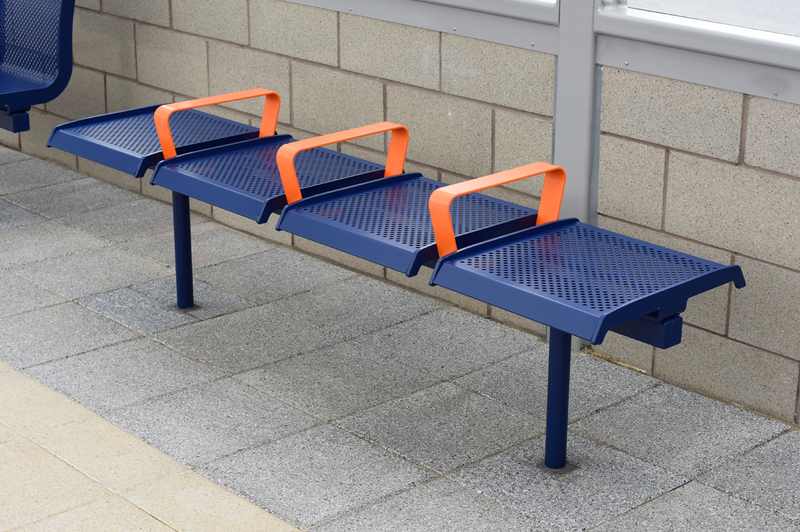 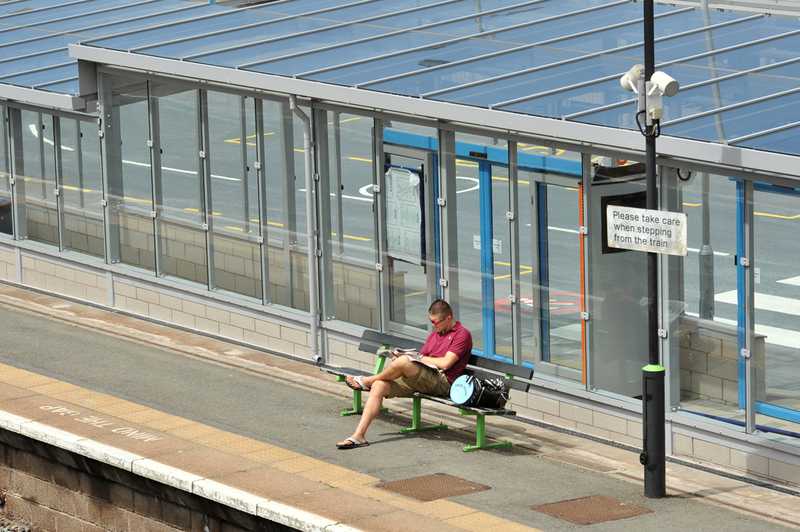 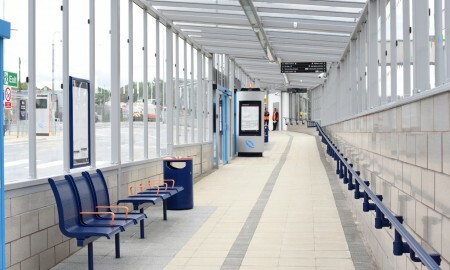 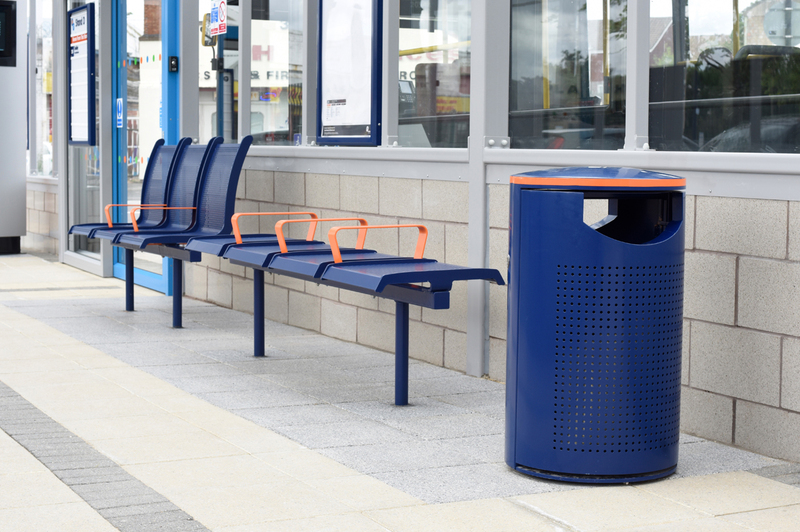 The newly built waiting area adjoined to the existing facility were furnished with Broxap Ilford seats and benches along with Eros litter bins to provide a comfortable seating area for passengers, these were colour co-ordinated in the blue and orange scheme already existing within the station. 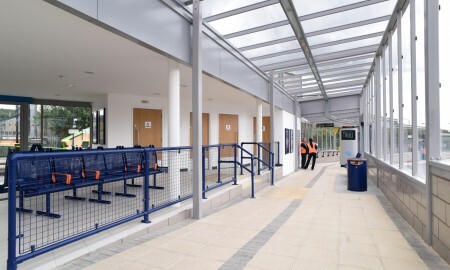 Ilford benches and Eros bins were also added to the concourse platform concourse to allow passengers to wait within the ‘hub’ in comfort whilst being kept informed of their trains progress by the electronic timetables. 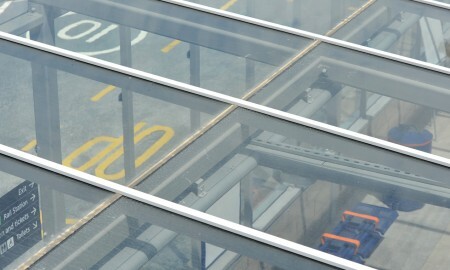 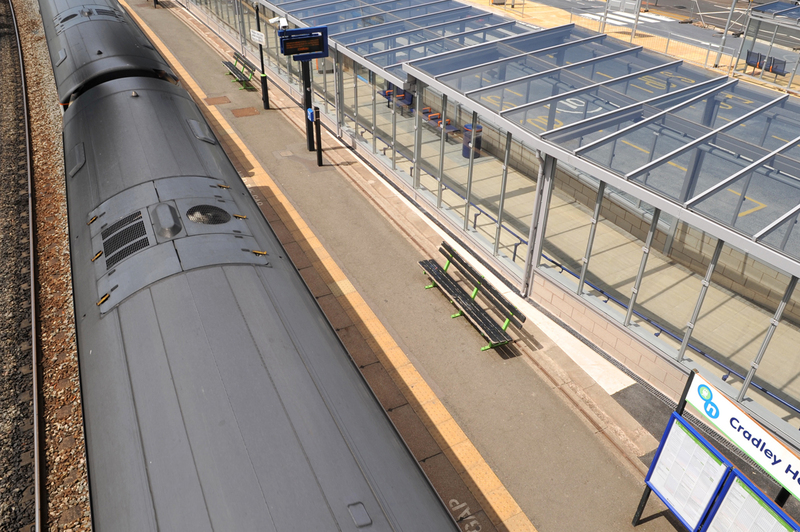 The whole project provides passengers with a ‘world class’ public transport facility.